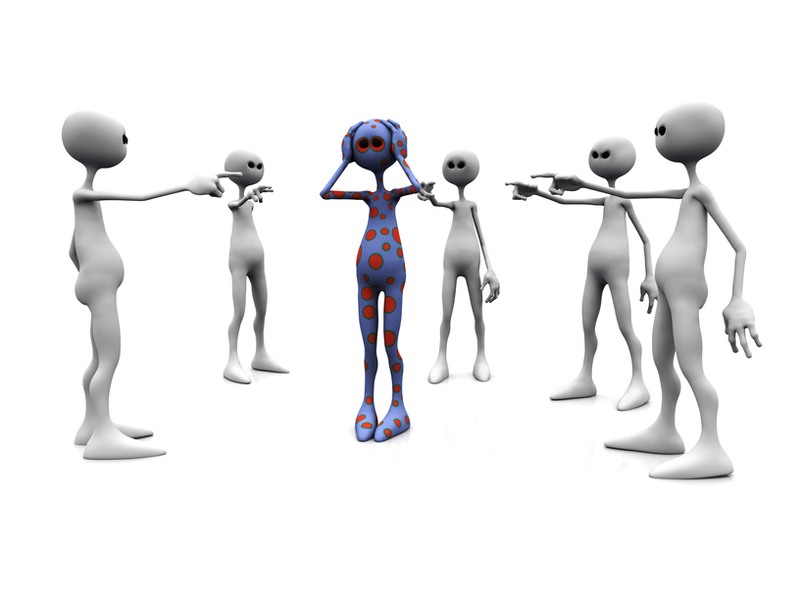 Active dissension against injustices and creating opposition by action. 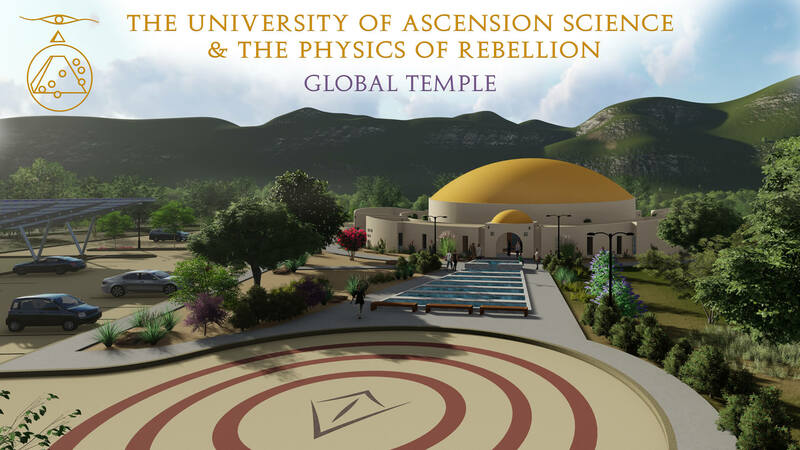 Click here to learn more about The Global Temple, The University’s new state-of-the-art advanced spirituality learning & worship facility. 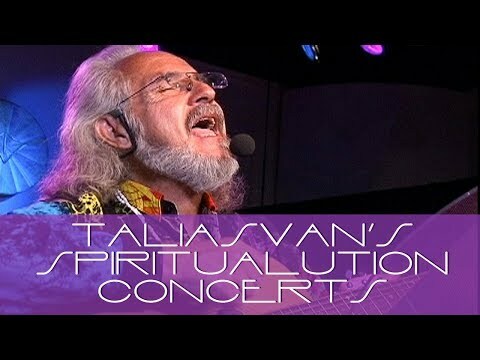 The Spiritualution movement is supported entirely by private, tax-deductible donations to our 501(c)(3) nonprofit. Support us today with a donation. 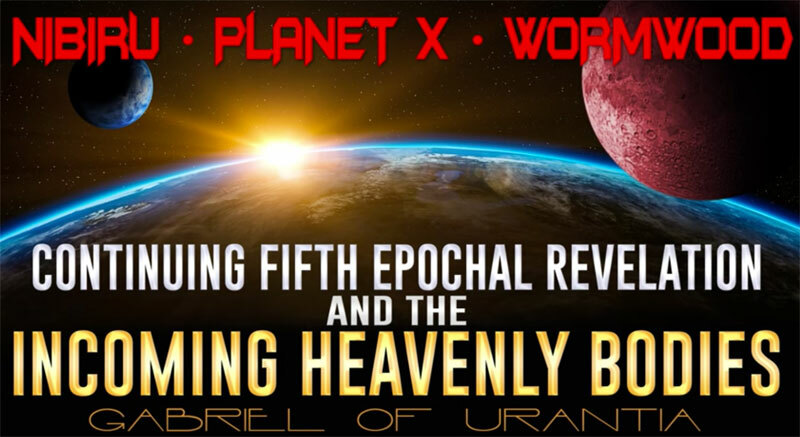 Gabriel of Urantia teaches about the reasons for and implications of the coming of the destroyer planet, Nibiru, known on higher worlds as The Adjudicator, as well as the coming of The New Jerusalem and the establishment on Urantia/Earth of the First Stage of Light & Life. 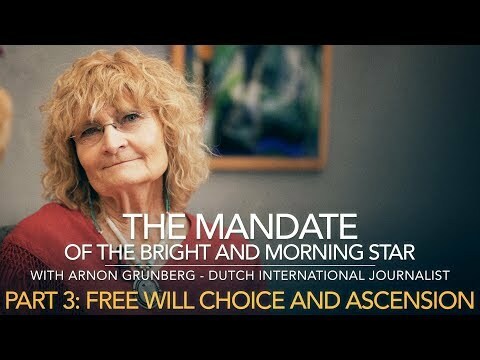 Gabriel of Urantia/TaliasVan holds the Mandate of the Bright & Morning Star with Niánn Emerson Chase. Together they are the co-directors of The University of Ascension Science & The Physics of Rebellion: UASPR.org. 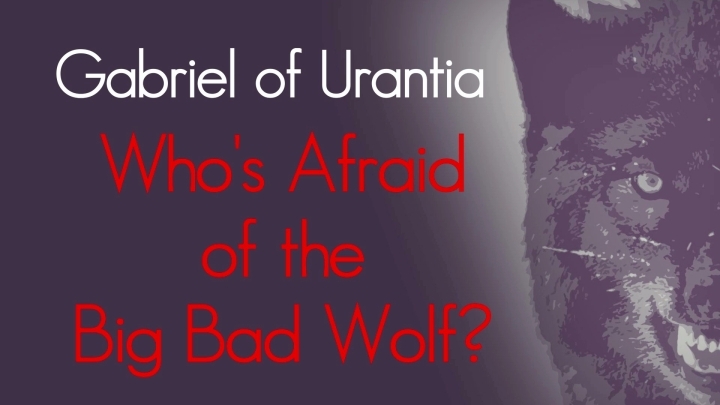 Gabriel of Urantia is the leading authority on the spiritual significance of the Lucifer Rebellion and the Adjudication of the Bright & Morning Star vs. Lucifer that began in 1911 and is constantly up-stepping. 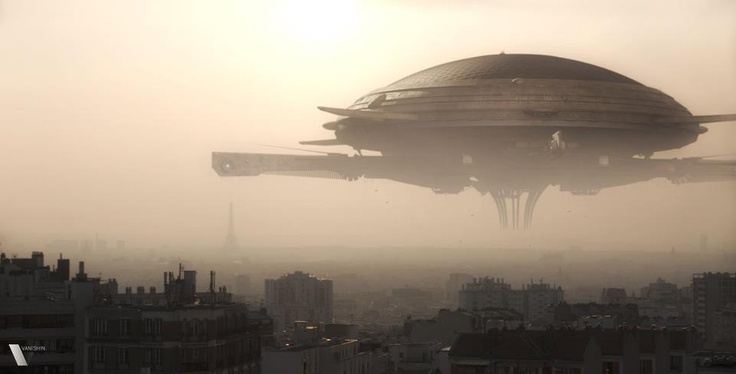 Including the causes and purposes of the tribulation period, which we are now in, and the coming of The Adjudicator, also known as Nibiru, Planet 7X, The Destroyer, Wormwood and The Dark Star, which is now in our solar system along with many other planetary bodies and architectural worlds. 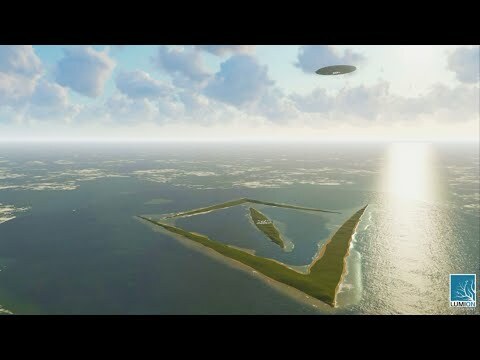 As well as the coming of The New Jerusalem and the establishment on Urantia/Earth of the First Stage of Light & Life. "I do not think our Founding Fathers meant 'free speech' to mean use slander, misrepresentation, character defamation, bigotry, and prejudice in general. Contrary to that, the true ideal of free speech is to prevent all communication that is based on prejudice of any kind." 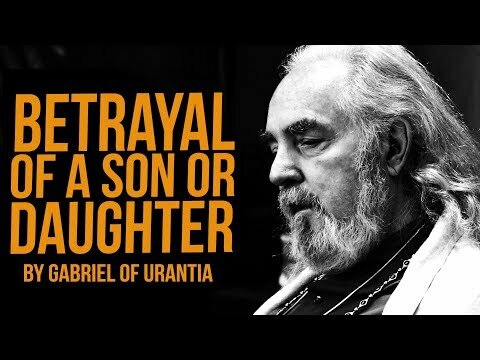 Gabriel of Urantia shares from his heart in "Betrayal of a Son or Daughter," a speech he wrote and shared during Sunday Teaching at The University of Ascension Science & The Physics of Rebellion. Read more on YouTube. 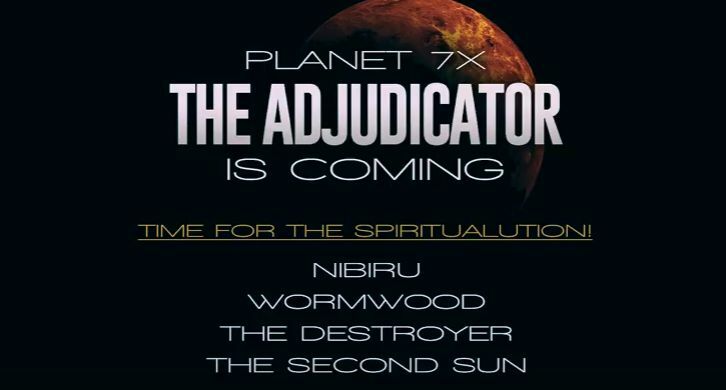 The various celestial bodies now present in our solar system, including Nibiru/Planet X and the New Jerusalem, are part of the great plan of God to bring about the purification of the Earth Mother. Prophecies of these times of the purification can be traced through every culture and prophets of every age and race. 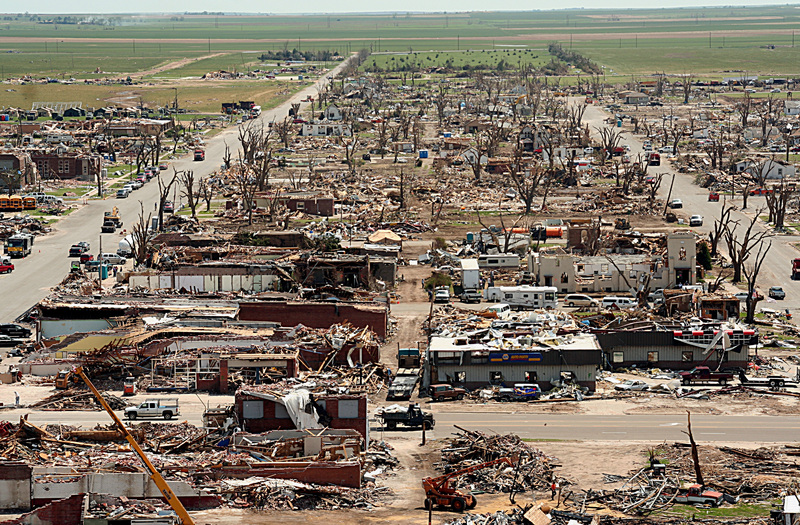 Time is short on Urantia (Earth), now is time to heed these warnings, the same warnings the Hopi brought to the UN in 1992, and to make the changes necessary to prepare for the tribulation already underway. 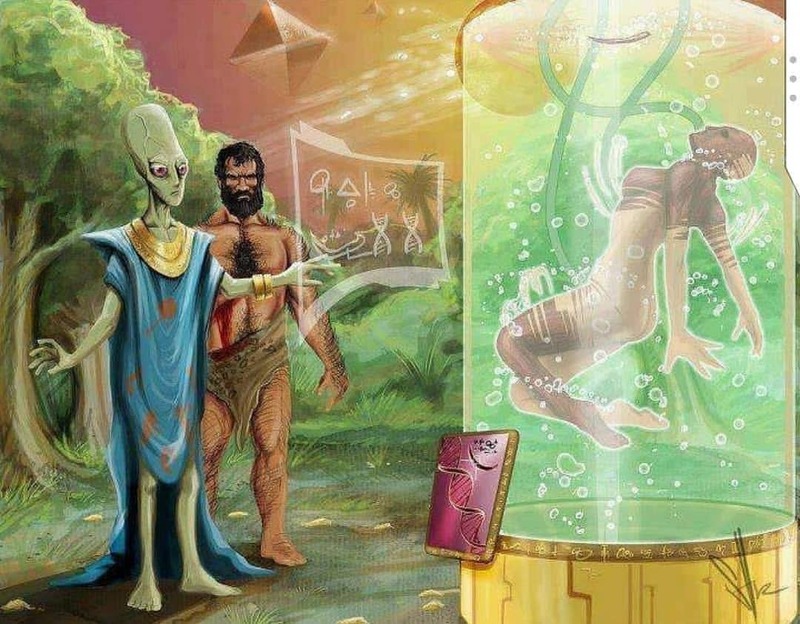 PART 1: Connecting End Times Prophecies Through Various Cultures, Including the Hopi, and the Role of the Finaliter Paladin as Masaau'u and Other Prophets of the Past. This is a call to all potential Destiny Reservists. If you believe you are a Destiny Reservist and are called by God to serve humanity then please contact us immediately. 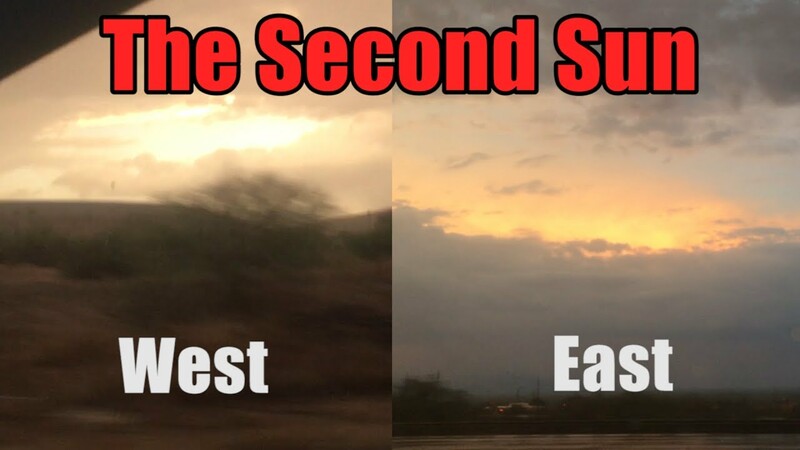 Please follow on Facebook and YouTube for continued teachings on the cosmic and spiritual reasons why the second sun is being seen around the world and what this means for you. Materialism, or having an entirely mechanistic viewpoint of the universe, goes far beyond the superficial materialism that is consuming our capitalistic society. Though materialism certainly includes consumerism, in this teaching materialism is further taught as seeing without spirit and ignoring the reality of the soul. This limited thinking is contrasted with true faith, which is what really moves all phases of the universe and should move every ascending son and daughter in their moment-to-moment decision making and their eternal ascent toward perfection and Paradise. 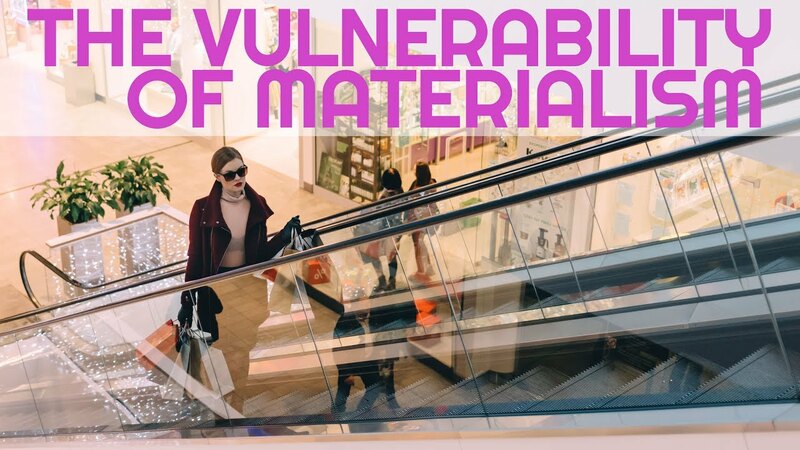 In this Sunday Teaching the students, ministers, elders and co-directors of the University of Ascension Science & The Physics of Rebellion read and discuss "The Vulnerability of Materialism" from the Urantia book (Paper 195, Section 7). 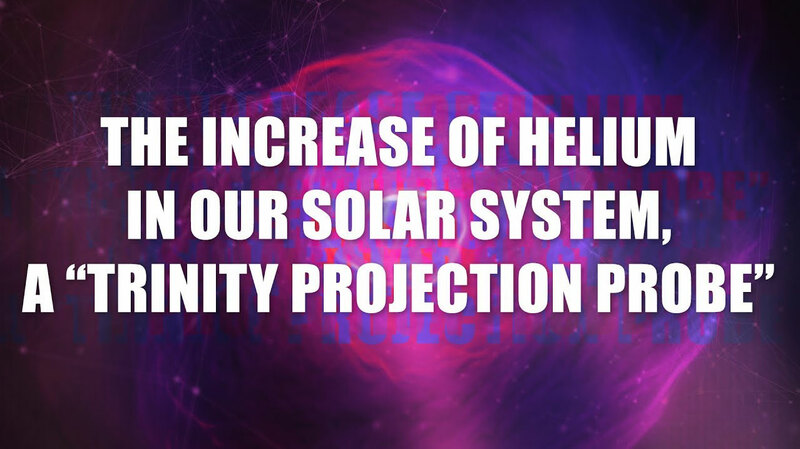 What does the presence of Helium in our solar system mean? Is our Sun dying out before its time? What will happen when it does? Is Jesus Christ Michael closer than ever to his promised return? 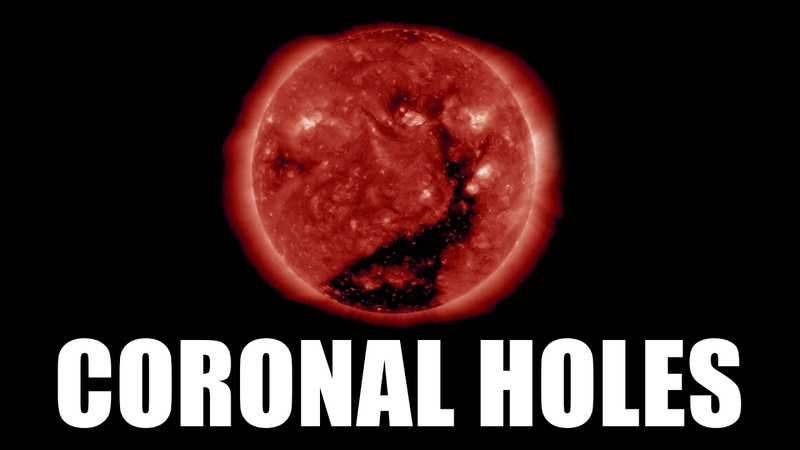 Do elements like helium play a part in the separation of "the good seed from the bad seed" during the Adjudication of the Bright & Morning Star of Salvington? 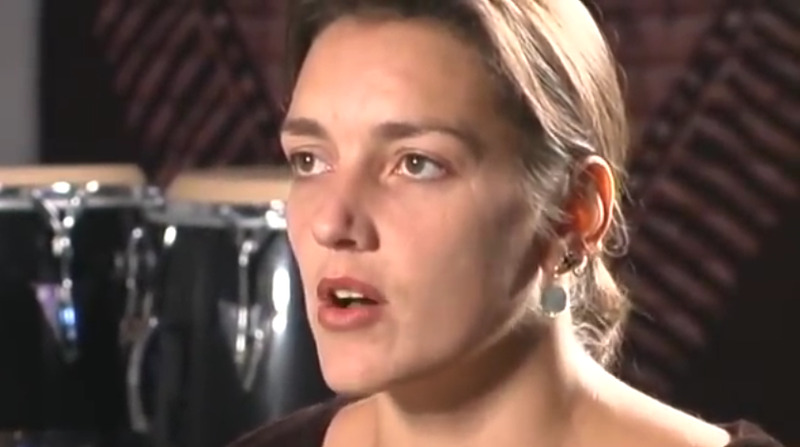 In this video Gabriel of Urantia/TaliasVan, Niánn Emerson Chase, Marayeh Cunningham, PhD, and Dr. Landau Lawrence, MD discuss the meaning and implications of helium in our solar system, it's relation to the Trinity - The Universal Father, the Eternal Son, and the Infinite Spirit (as described in The URANTIA Book), and introduce a new term from Continuing Fifth Epochal Revelation (CFER): "Trinity Projection Probe." There are many theories and theologies regarding the nature of God. Of course God is many things, and God is everything, but to an ascending mortal soul God is first and foremost a loving Father. In this video Gabriel of Urantia/TaliasVan and Dr. Landau Lawrence discuss the nature of God, the misconceptions of the Lucifer rebellion which have discredited the reality of the personality of God, and their own personal spiritual journeys coming to know, love and serve the Universal Father of all. 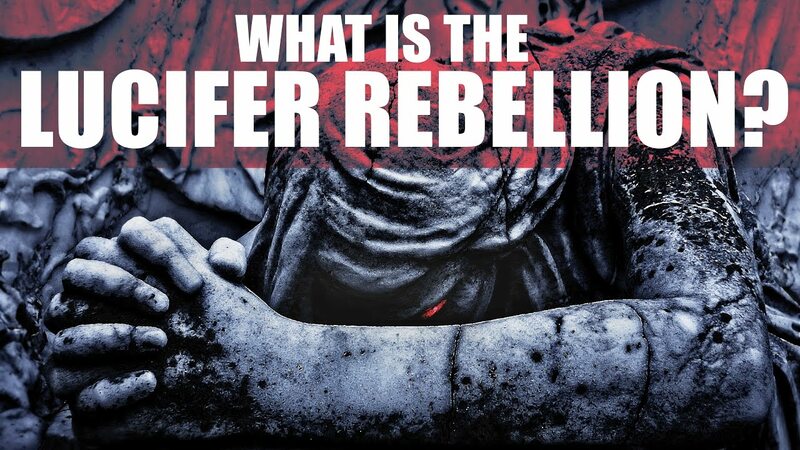 In these final days of the end-times it is critical that those seeking spiritual truth begin to understand the Lucifer Rebellion, what it is and how it has caused destruction in our thinking, relationships, culture, society and government. 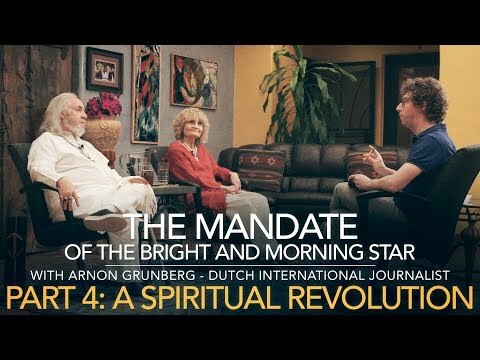 Gabriel of Urantia/TaliasVan holds the Mandate of the Bright & Morning Star with Niánn Emerson Chase and is the leading authority on the spiritual significance of the Lucifer rebellion and the adjudication of the Bright & Morning Star vs. Lucifer that began in 1911 and is constantly up-stepping. This topic can be studied at-length in The Urantia Book and the Cosmic Family Volumes. 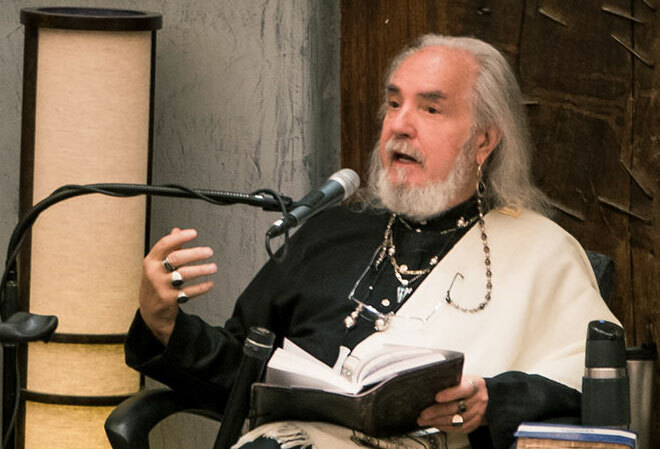 Dr. Landau Lawrence, MD, a physicist, astronomer and Vicegerent Elder in Divine Administration, joins Gabriel of Urantia/TaliasVan in this episode. 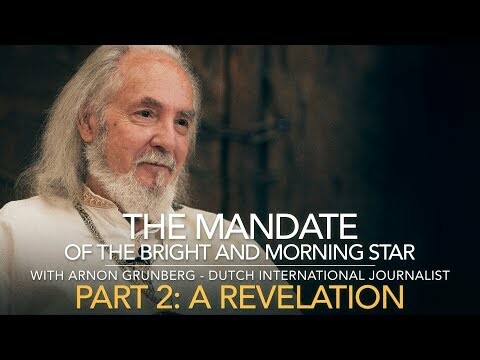 A message for our planet from Gabriel of Urantia aka TaliasVan who holds the Mandate of the Bright and Morning Star with Niánn Emerson Chase and is a leading authority on the spiritual reasons why The New Jerusalem is coming toward us. 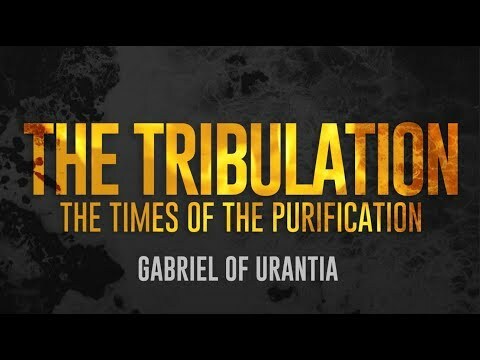 In this video Gabriel of Urantia aka TaliasVan gives the spiritual significance of the arrival of The New Jerusalem and what this means in conjunction with the arrival of the Adjudicator, or Planet 7X. End time visions by John the Apostle on the Isle of Patmos who saw the New Jerusalem coming and wrote about it twice in the Book of Revelation. Astronomers see it but don't quite know what it is. 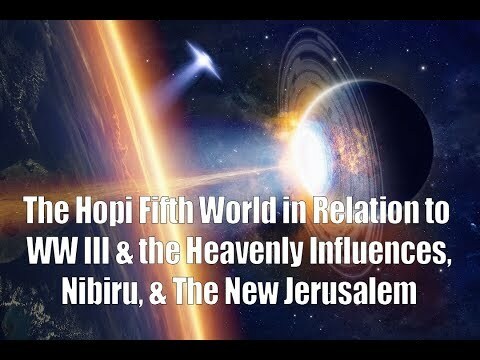 The Continuing Fifth Epochal Revelation (the Cosmic Family Vol. 1) speaks of it's coming at the time of the first stage of light & life on the Earth. It gives the date of April 1989 as the upstepping of the Adjudication of The Bright & Morning Star vs. Lucifer. What significant events also happened in 1989?? 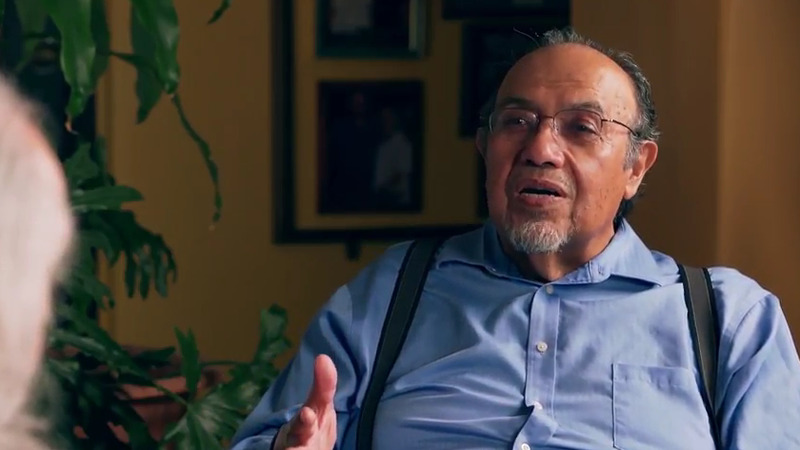 Dr. Landau Lawrence, MD, a physicist, astronomer and Vicegerent Elder in Divine Administration, is introduced in this video and will be joining Gabriel of Urantia aka TaliasVan in future episodes. 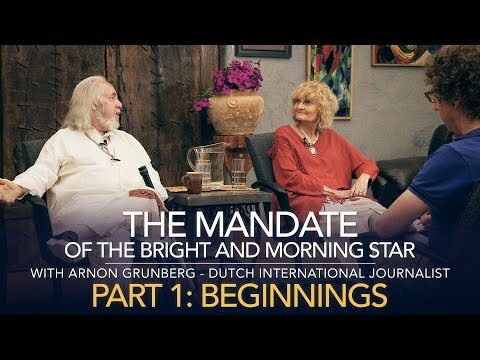 A message for our planet from Gabriel of Urantia/TaliasVan who holds the Mandate of the Bright and Morning Star with Niánn Emerson Chase and is a leading authority on the spiritual reasons why Nibiru/Planet 7X is coming toward us, which is known on higher worlds as The Adjudicator. 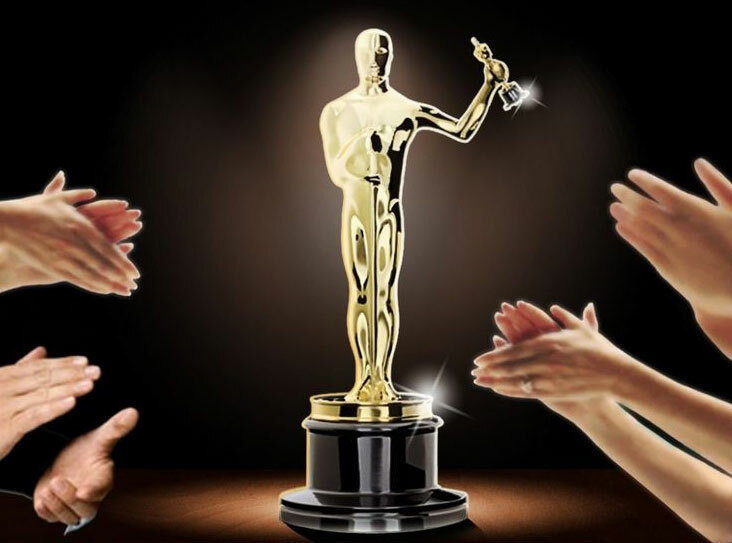 Conversations with Activists to Inspire Global Change with Gabriel of Urantia provides a forum for activists to voice their concerns, and to educate the public about humanitarian issues. 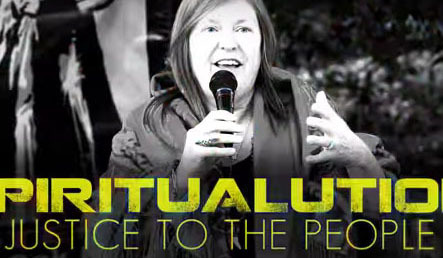 Jane Sanders' speaks in support of the sacred, indigenous rights, protecting our natural world, properly testing the effects of mining on the surrounding environment, water sources and people and her husband's trustworthiness. Amadon DellErba in Q&A with Jane Sanders, wife of presidential hopeful and Vermont senator Bernie Sanders, at Oak Flat. Official music video for "Syria" by VansGuard off their debut album False Empire, originally recorded at Future Studios in Southern Arizona. 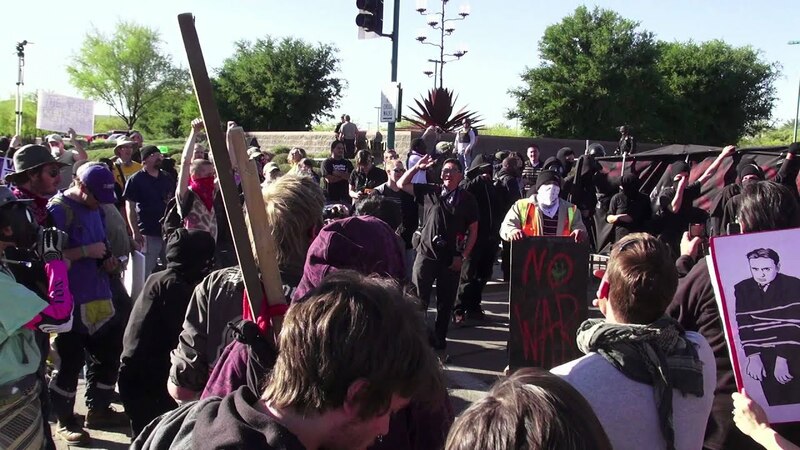 Prior to their multi-week cross-country caravan to Washington D.C. the Apache Stronghold and supporters gathered in Tucson, Arizona to rally support. 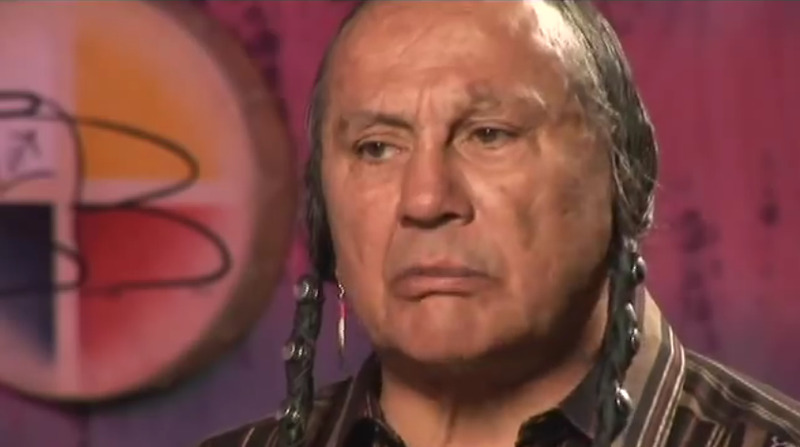 This is Wendsler Nosie Sr., Apache Stronghold leader and San Carlos Apache chariman, speaking from the heart concerning the Southern Arizona Land Exchange and the forfeiture of the Apache holy land Oak Flat. 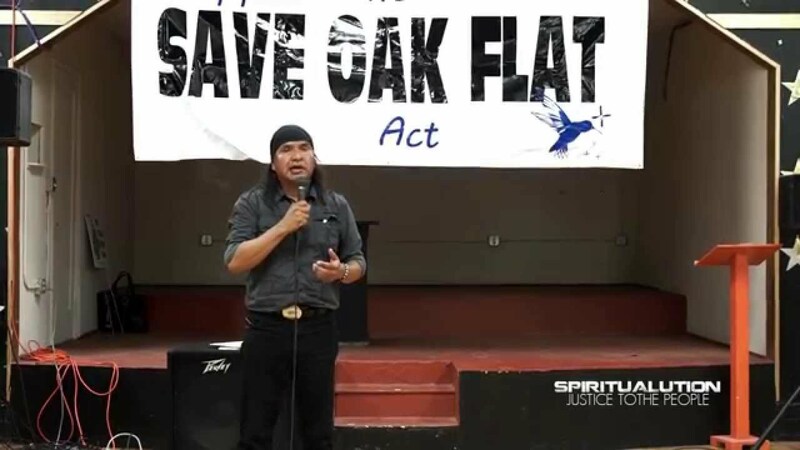 The Spiritualtion movement stands in solidarity with Apache Stronghold and the Save Oak Flat Act, we stand in solidarity with all peoples whose land, water, health and way of life have been sacrificed to the greed and corruption of multinational corporations. 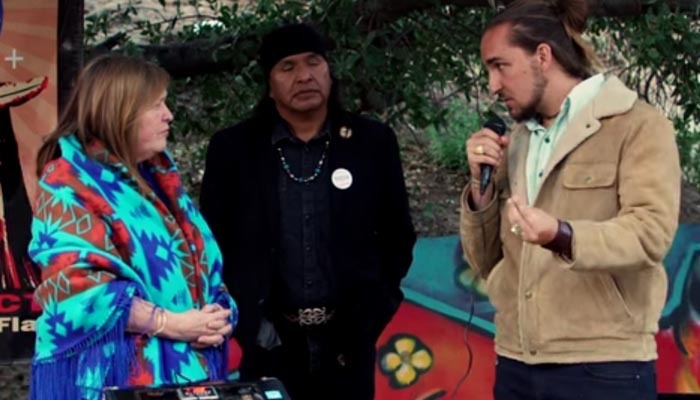 In December 2014, after a decade of failed attempts to secure Oak Flat for mining purposes, Senator John McCain, Senator Jeff Flake, Congresswoman Ann Kirkpatrick and Congressman Paul Gosar conspired to add a last minute bill to the have-to-pass NDAA that forfeited sacred Apache land to the international mining conglomerate Rio Tinto (Freeport-McMoRan), effectively bypassing the democratic process and public scrutiny. Apache Stronghold recently traveled to Washington D.C. to bring further attention to this threat to their sacred land and the Save Oak Flat Act, a bill introduced by Arizona congressman Raul Grijalva to repeal the land exchange and save this sacred indigenous holy land from imminent destruction. 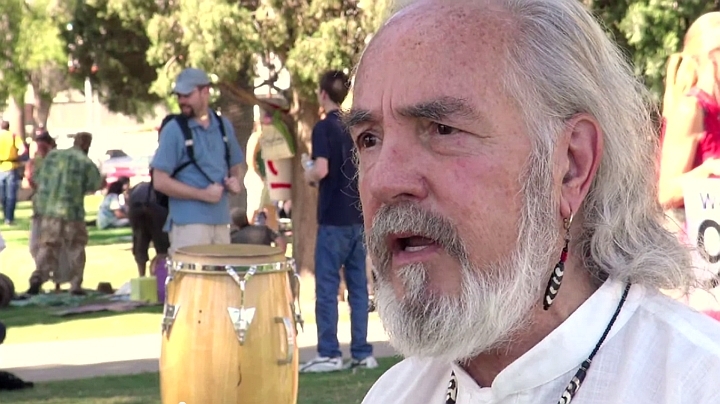 Apache Stronghold and the movement to Save Oak Flat are calling for all who support the right to freedom of religion and the sanctity of the sacred land of indigenous peoples, and who resist the corruption and anti-democratic maneuvering of congress, to join in this fight in every way you can, through prayer & song, by calling your local Senators and Congressperson?s offices, sending letters, signing the petitions below, and joining them in person in Washington D.C. 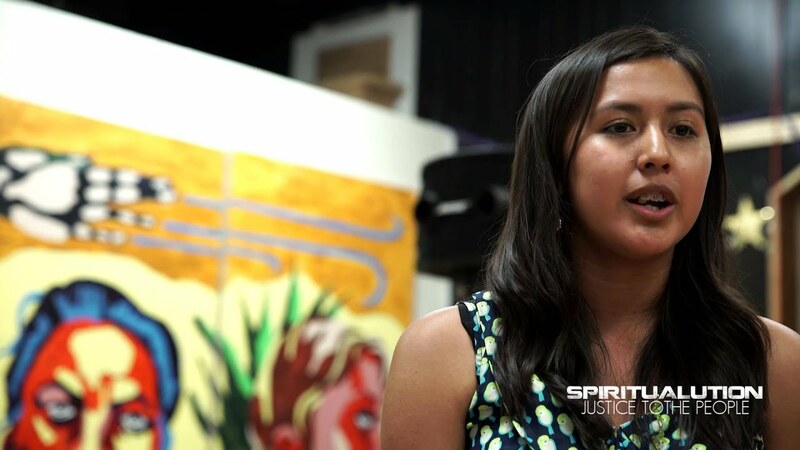 Please check apache-stronghold.com for updates and how you can continue to support the movement as it unfolds. 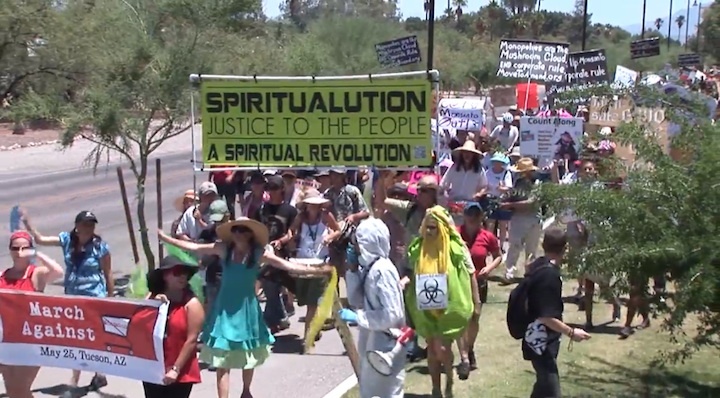 The Spiritualution movement stands in solidarity with Apache Stronghold and the Save Oak Flat Act, we stand in solidarity with all peoples whose land, water, health and way of life have been sacrificed to the greed and corruption of multinational corporations. Apache Stronghold, led by Wendsler Nosie Sr. (a San Carlos Apache councilman and former chairman), have arrived in Washington D.C. after a cross-country caravan and march to bring further attention to this threat to their sacred land and the Save Oak Flat Act, a bill introduced by Arizona congressman Raul Grijalva to repeal the land exchange and save this sacred indigenous holy land from imminent destruction. 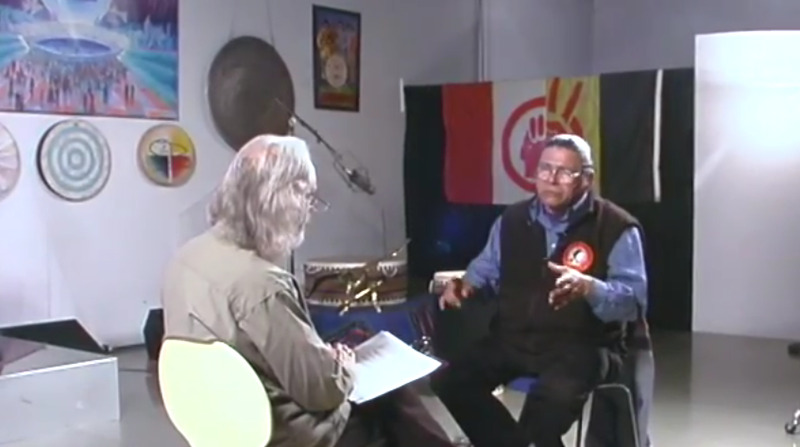 Please check http://apache-stronghold.com for updates and how you can continue to support the movement as it unfolds. 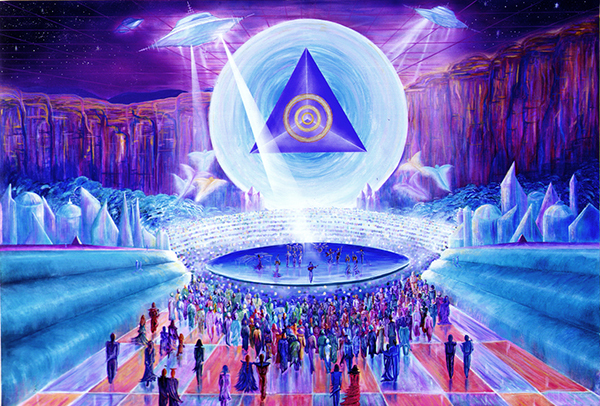 The Apache Stronghold team has been very active on social media, updating constantly as they build support and travel to Washington D.C.
What is Spiritualution? 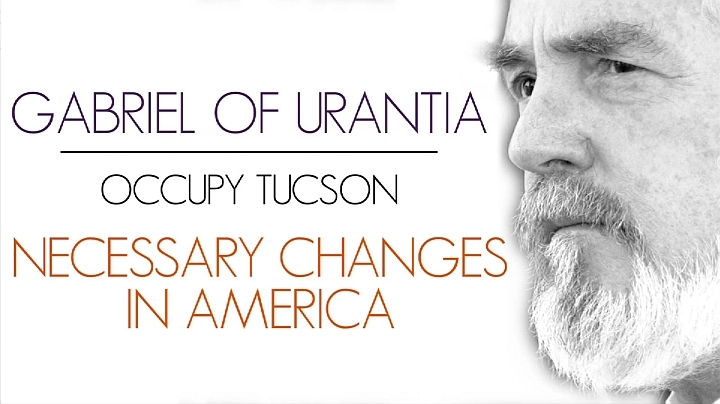 The Spiritualution began with, visionary change agent Gabriel of Urantia. 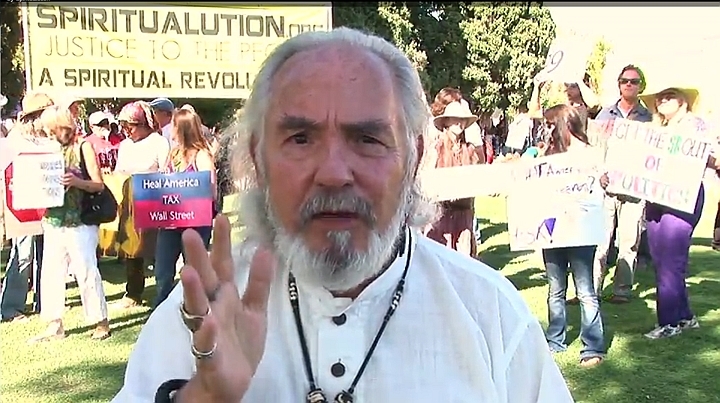 He has been telling America and the world?through his books, videos, and music?that they must take to the streets through civil disobedience and strike against the power elite; corporate entities, which include corporate media, the oil companies, the banking system, and the corrupt government. 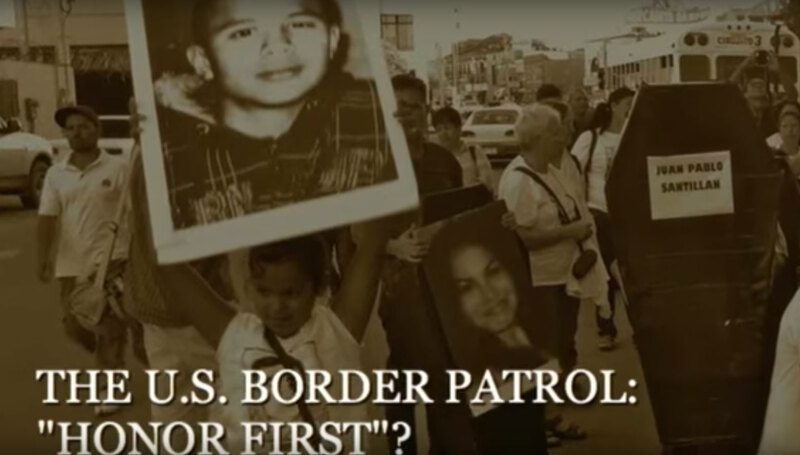 Filmed Oct. 10, 2014 in Nogales, Sonora at the 2nd anniversary protest of the death of José Antonio Elena Rodriguez, murdered Oct. 10, 2012 by a Border Patrol agent who shot him from the U.S. side of the border fence. The protest was for all victims of the Border Patrol and includes comments by family members and others. Also background music by Ted Warmbrand (Who's The Criminal) and Dúo Guardabarranco (Canción Pequena). 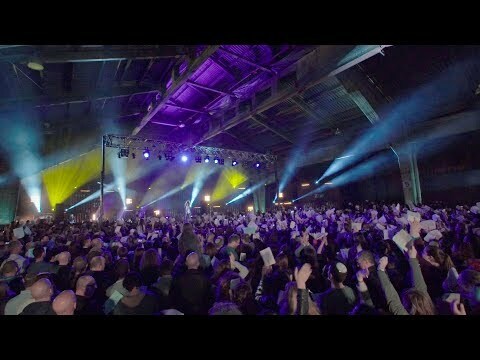 Short live clips of performances by Pablo Peregrina and Jaime Millan. 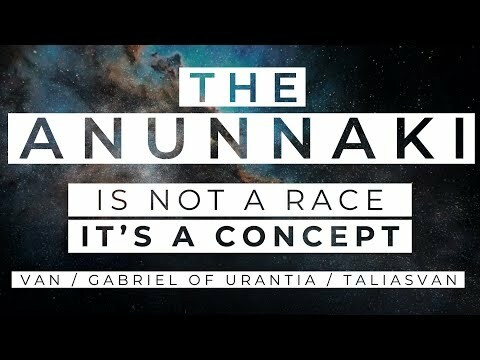 Gabriel of Urantia and Niann Emerson Chase talk about Extra Terrestrials, Altogether Sensationalized Stories, Unidentified Flying Objects, the Media's Favorite Liars, Sold Out Broadcasters,and the need for the people to come to a common understanding of the Creator and the inhabited Grand Universe. 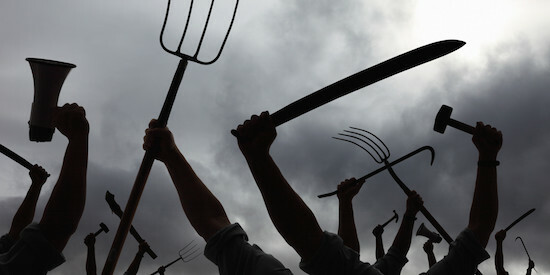 It&apos;s time to March Against Monsanto! • Research studies have shown that Monsanto&apos;s genetically-modified foods can lead to serious health conditions such as the development of cancer tumors, infertility and birth defects. • In the United States, the FDA, the agency tasked with ensuring food safety for the population, is steered by ex-Monsanto executives, and we feel that&apos;s a questionable conflict of interests and explains the lack of government-lead research on the long-term effects of GMO products. • Recently, the U.S. Congress and president collectively passed the nicknamed "Monsanto Protection Act" that, among other things, bans courts from halting the sale of Monsanto's genetically-modified seeds. • For too long, Monsanto has been the benefactor of corporate subsidies and political favoritism. Organic and small farmers suffer losses while Monsanto continues to forge its monopoly over the world's food supply, including exclusive patenting rights over seeds and genetic makeup. • Monsanto&apos;s GMO seeds are harmful to the environment; for example, scientists have indicated they have caused colony collapse among the world&apos;s bee population. • Voting with your dollar by buying organic and boycotting Monsanto-owned companies that use GMOs in their products. • Labeling of GMOs so that consumers can make those informed decisions easier. • Repealing relevant provisions of the US&apos;s "Monsanto Protection Act." 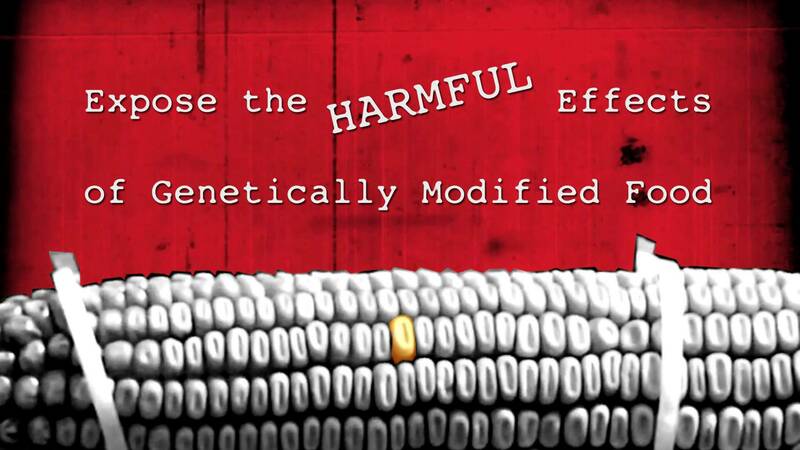 • Calling for further scientific research on the health effects of GMOs. • Holding Monsanto executives and Monsanto-supporting politicians accountable through direct communication, grassroots journalism, social media, etc. 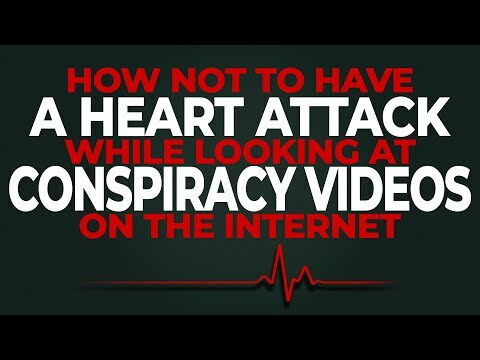 • Continuing to inform the public about Monsanto&apos;s secrets. 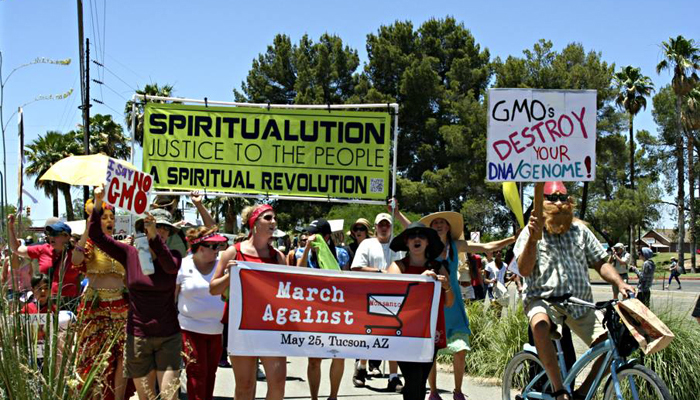 • Taking to the streets to show the world and Monsanto that we won&apos;t take these injustices quietly. That's why we March Against Monsanto. 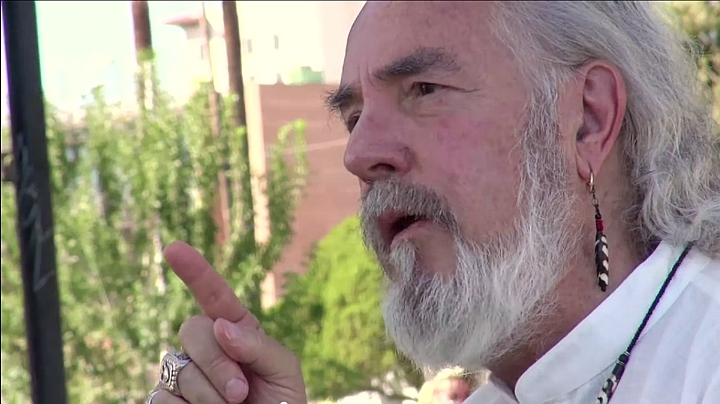 Gabriel of Urantia talks about coming out of the system of greed, hypocrisy, and materialism. 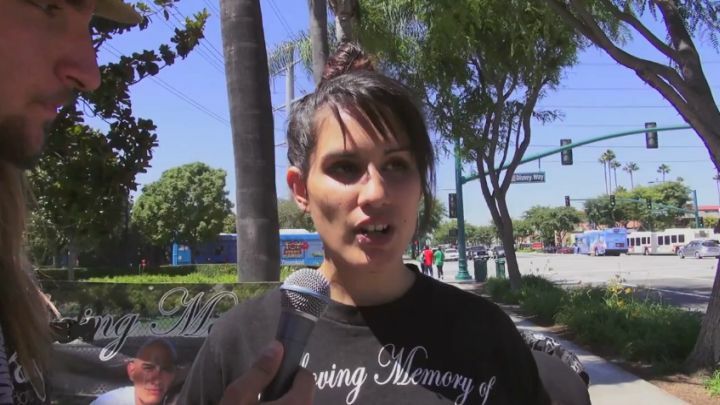 Outside of Disneyland in Anaheim, California, Amadon DellErba of Global Change Television talks to Sonia Hernandez about the tragic death of her brother Martin Angel Hernandez. 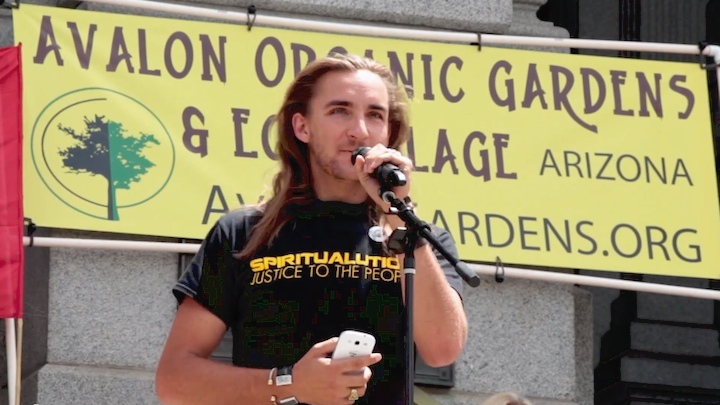 We celebrated Interdependance Day in Philadelphia at the 2012 Occupy National Gathering. While we were there we ran into artist and activist Elise Luce Kraemer who talked about her latest art-piece/project, the Occupy My Soul Quilt. 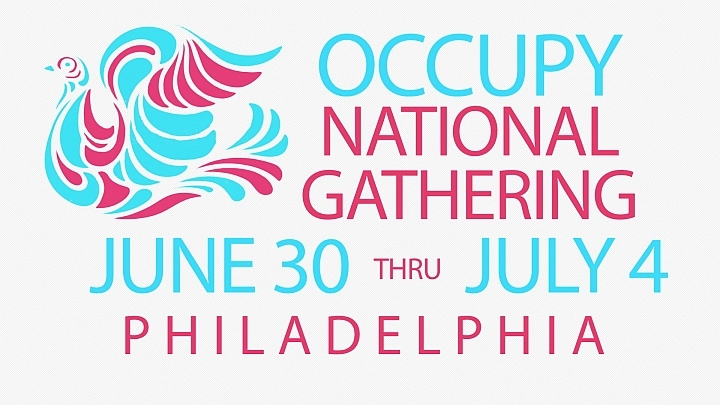 On July 4th, 2012 we joined hundreds of Occupiers at the Occupy National Gathering in Philadelphia. 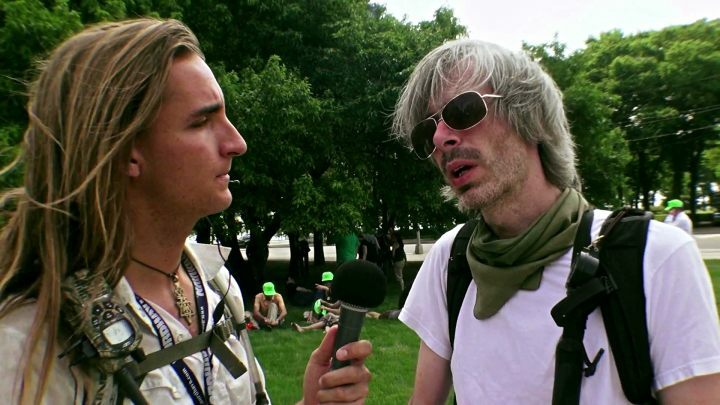 While there, Amadon DellErba spoke with Media Roots founder and RT reporter Abby Martin. 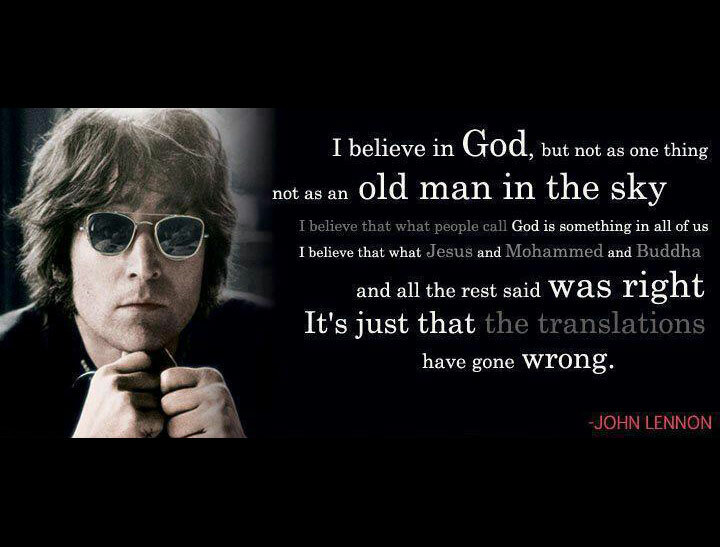 Thanks to WikiWorldOrder for Posting this! "Philadelphia, July 2, 2012, Day 3. 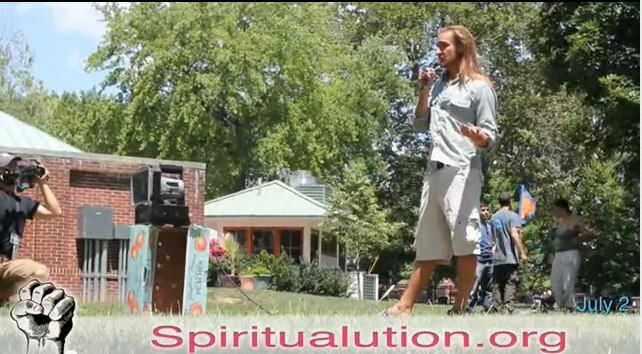 One of our occu-brothers gives a speech on Spiritualution.org. Many things discussed about community living resonated greatly with me from my last five months living on an occupied organic farm in Sacramento, CA." On June 30th, day one of #NatGat—America's first Occupy National Gathering—people met on Independence Mall in Philadelphia. After meeting in the afternoon, we marched around the financial district before ending up behind the historic Second Bank of the United States building. A small group of protesters erected a tent with the intention of camping, but were met with aggressive police opposition. Tension mounted between Occupy and both PPD and NPS law enforcement officers. 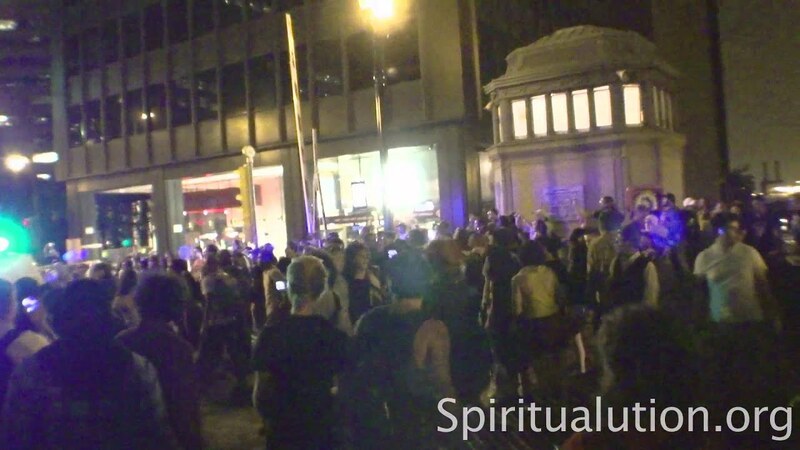 A group of protesters began chanting OM and singing "I love you" to the cops and the energy and atmosphere transformed into an amazing peaceful space. â€‹On Sunday, May 20, 2012 we joined Micah Philbrook, of Occupy Chicago, and 18-20 thousand other activists and protesters in Grant Park (Petrillo Bandshell) in downtown Chicago before the march to protest NATO. 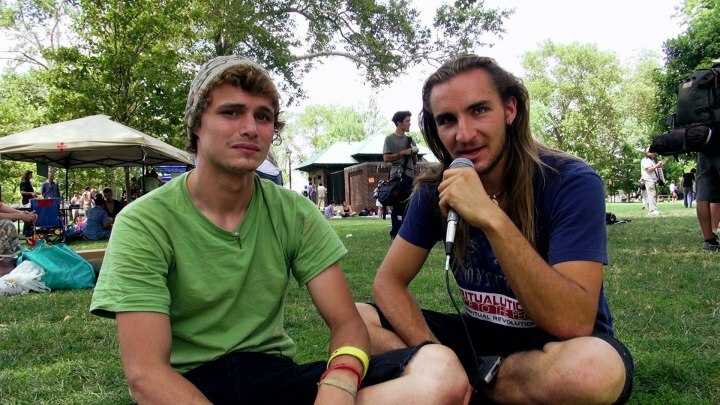 We talked with Micah about the days activities and the vision of a better world to come. â€‹On Sunday, May 20, 2012 we joined 18-20 thousand people in Grant Park (Petrillo Bandshell) in downtown Chicago before the march to protest NATO. 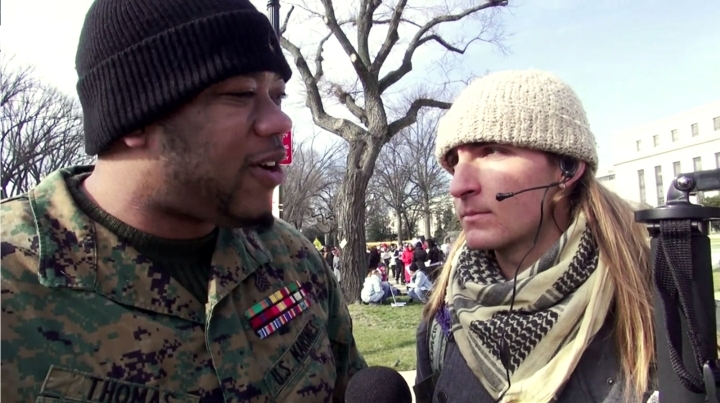 While we were there we ran into Ash Woolson of Iraq Veterans for Peace. He later returned his medals at a ceremony at the end of the march. 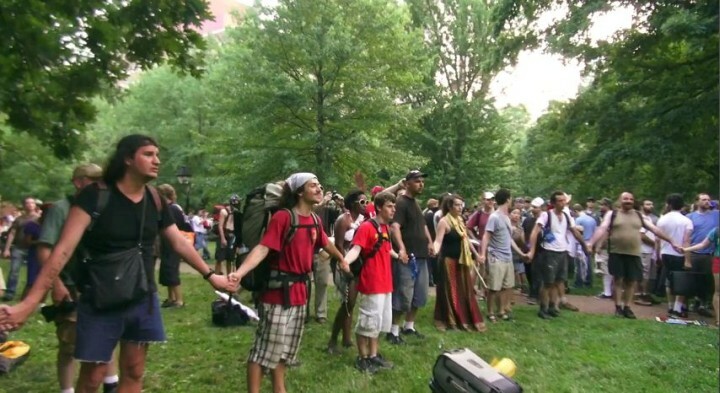 From June 30th to July 4th, 2012, the Occupy movement convened the Occupy National Gathering in the vicinity of Philadelphia's Independence Mall for a week of direct actions, movement building and the creation of a "blueprint" for a democratic future. The National Gathering kicked off with a massive march in solidarity with Healthcare-Now! On July 5th we concluded with a 99 mile march from Philadelphia to Wall Street in Lower Manhattan. 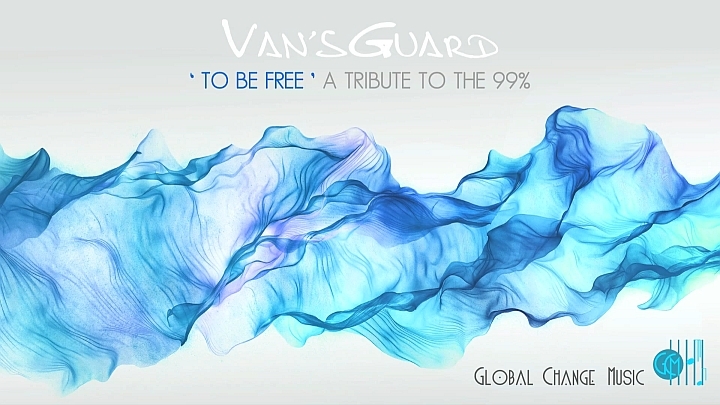 The music for this promotional video is from the song "To Be Free" by Van'sGuard. On Monday, May 21, 2012 — the day after the major NATO protest/march in Chicago, IL — we joined hundreds outside of Barack Obama's campaign headquarters after marching to Boeing HQ. 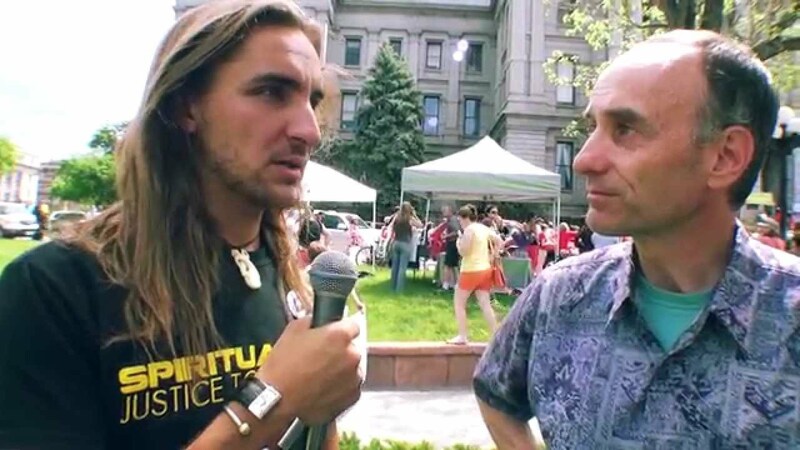 While we were there, Amadon DellErba spoke with Bruce Baumann of "We Are Change - Colorado." Amadon also mic-checked the crowd to talk about LOVE and taking OCCUPY to the next level. On Sunday, May 20, 2012 we joined 18-20 thousand people in Grant Park (Petrillo Bandshell) in downtown Chicago before the march to protest NATO. 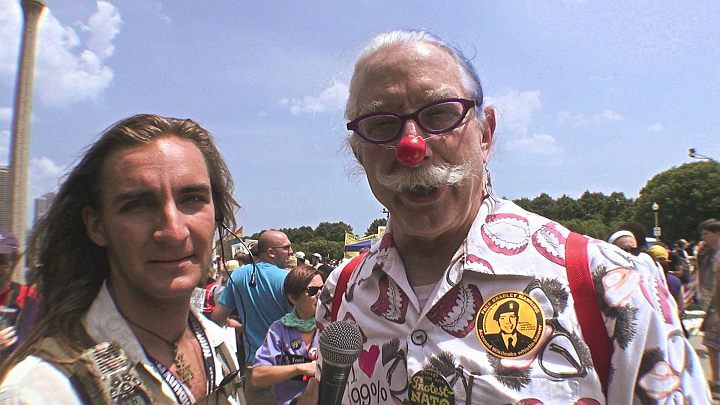 While we were there we ran into Dr. "Patch" Adams - physician, clown, and founder of The Gesundheit! Institute. On Sunday, May 20, 2012 we joined 18-20 thousand people in Grant Park (Petrillo Bandshell) in downtown Chicago before the march to protest NATO. 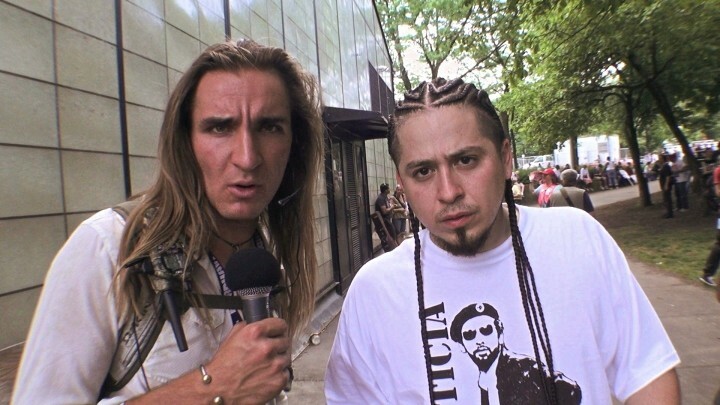 While we were there we ran into RodStarz, co-founder of activist, hip-hop group Rebel Diaz. 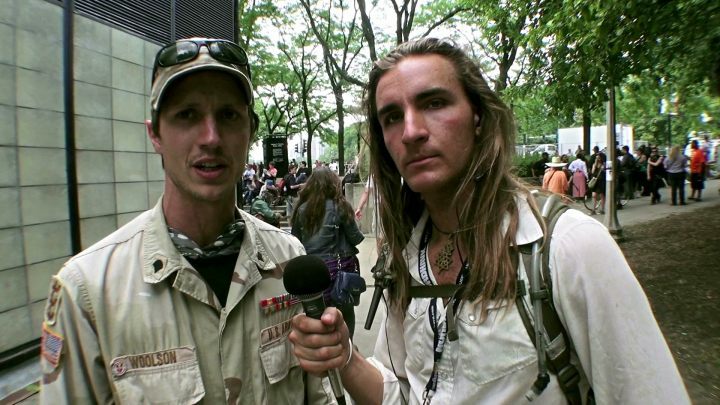 While protesting NATO in Chicago, IL, Jack "Mayhem" Amico of Occupy Wall Street was run over by a Chicago Police Department van. On Monday, December 12, 2011 we joined the West Coast Port Shutdown in Los Angeles/Long Beach to Occupy the Ports. 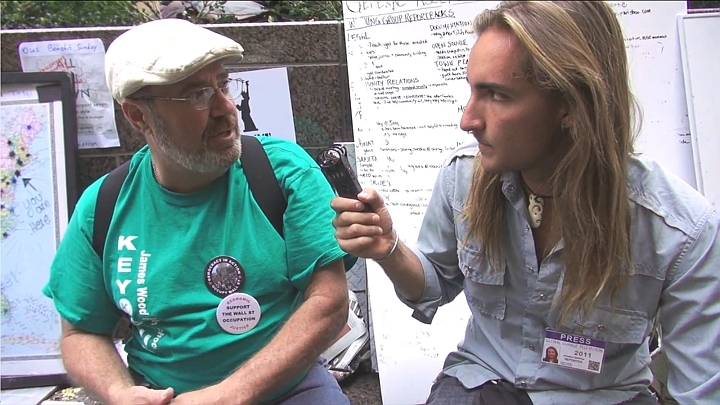 While there we spoke with Michael Novick, activist and organizer with the General Strike Preparation Committee of Occupy Los Angeles. 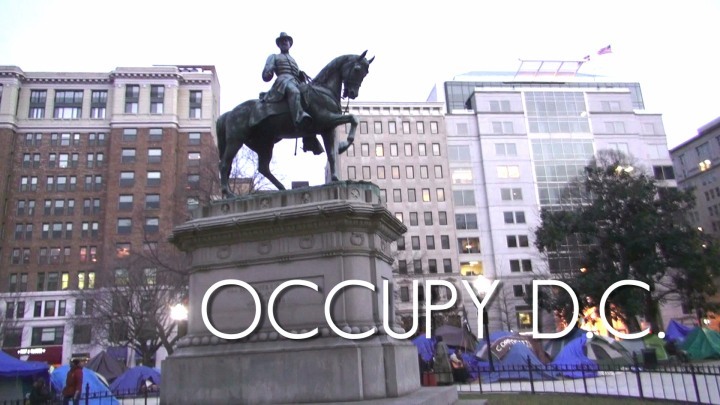 On Martin Luther King Day, Monday, January 16, 2012, we joined the protesters at Occupy D.C. in McPherson Square. 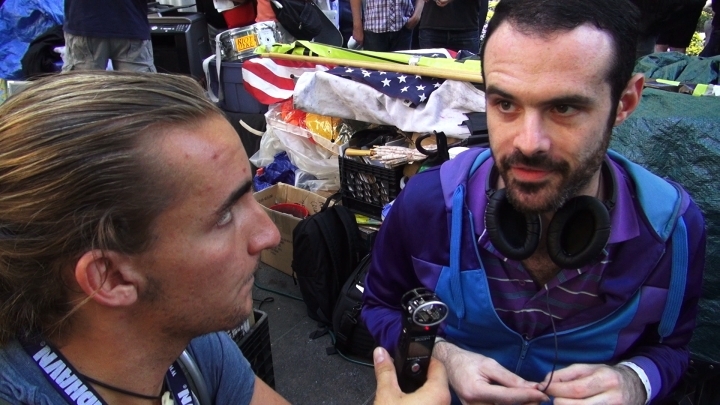 We spoke with Washington D.C. occupiers John Zangas and Hassan Shabazz and Occupy Wall Street workingman, Jesse Lagreca. 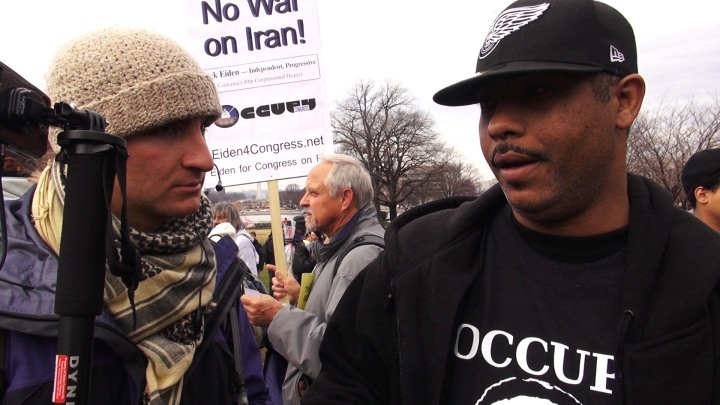 In Washington, D.C. we met Malik Rashaan, founder of Occupy the Hood. Malik talked about Occupy the Hood being in 21 cities, helping to give the people of low-income neighborhoods more of a voice and encouraging work within the community. Nurse Nancy Woodruff shares her concerns about people having to choose between buying food or medications and fueling their houses. She also speaks about the need for socialized medicine and the greed of the pharmaceutical companies. Jill Stein, presidential candidate for the Green Party, is attempting to bring democracy and justice into the election. 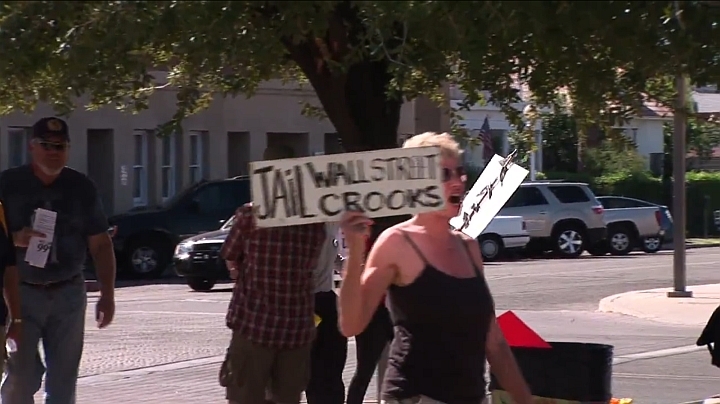 She encourages people to not throw their vote away to the Wall Street sponsored candidates. 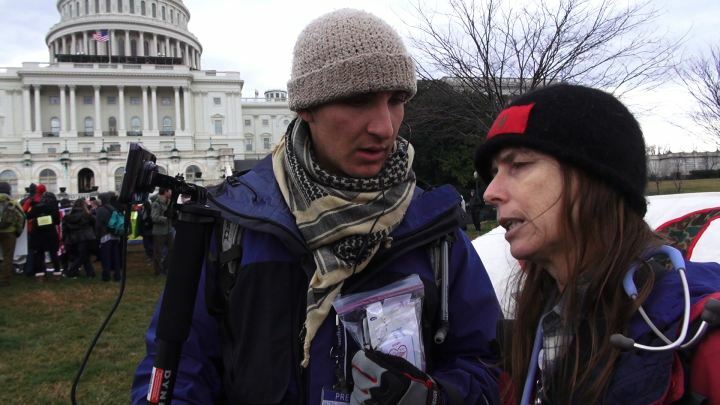 On January 17, 2012 we joined the 99% at the Capital Building in Washington to Occupy Congress. 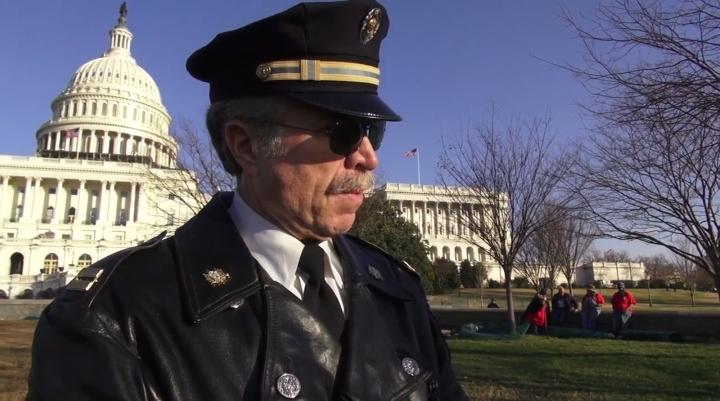 While we were there we talked to retired Philadelphia police captain and activist Ray Lewis and asked him about the Occupy movement. Capt. Lewis is an avid supporter and hopes he can make a difference by his presence at the demonstrations. He finds it sad that other police officers aren't participating since they are part of the 99%. 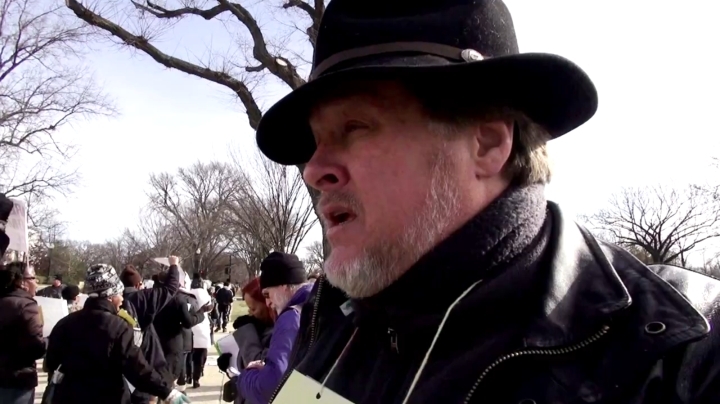 On Martin Luther King Day, Monday, January 16, 2012, we joined the protesters at Occupy The Dream outside the Federal Reserve in Washington, D.C. We spoke with Kevin Zeese of Occupy D.C.
On Martin Luther King Day, Monday, January 16, 2012, we joined the protesters at Occupy The Dream outside the Federal Reserve in Washington, D.C. We spoke with Sgt. 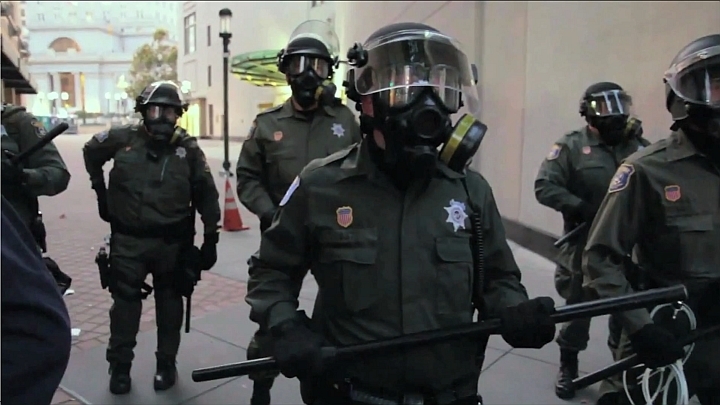 Shamar Thomas of Occupy Wall Street. Dr. Lembitz believes in the importance of a healthy middle class and daughter Bre is anxious to make changes to the existing system. 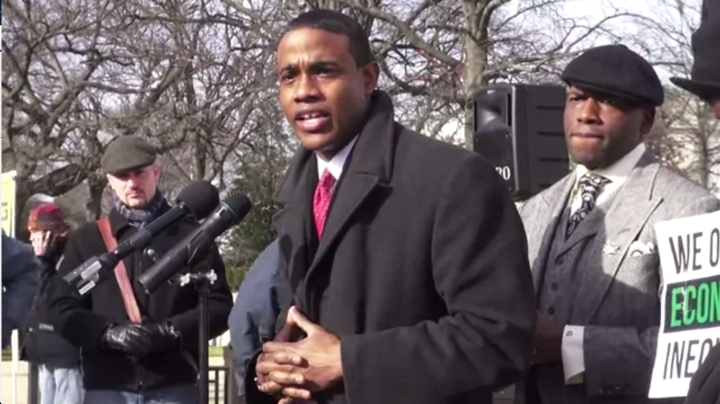 On Martin Luther King Day, Monday, January 16, 2012, we joined the protesters at Occupy The Dream outside the Federal Reserve in Washington, D.C. We spoke with Baltimore activist, organizer, and youth leader Farajii Muhammad. Brendan Burke, occupier of Wall Street, talks about financial oppression and reform of economic institutions. Jason West, mayor of New Paltz, NY talks about stagnating wages and unaffordable healthcare. He and thousands of other protesters realize that there is a systemic problem, not one particular issue that needs to be solved. 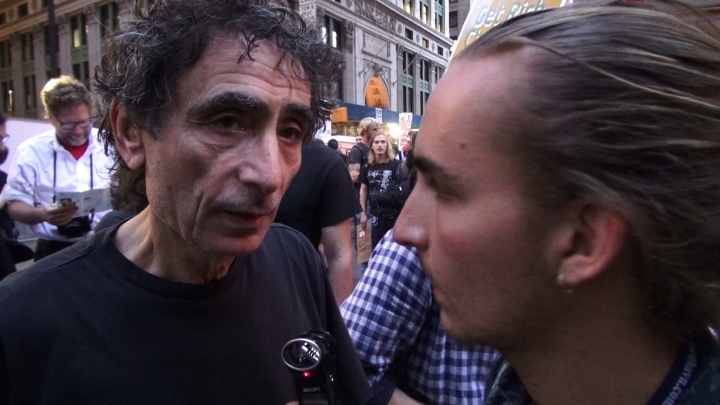 In New York City we ran into medical doctor and activist Gabor Maté. Gabor Maté M.D. is a physician and bestselling author whose books have been published in nearly twenty languages worldwide. 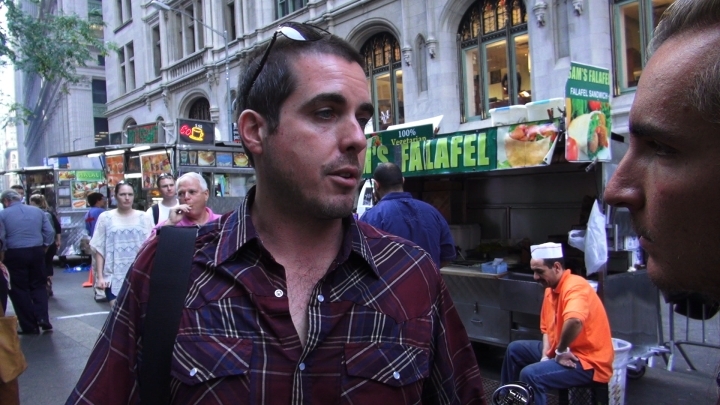 While we were in New York City, we ran into activist J.A. 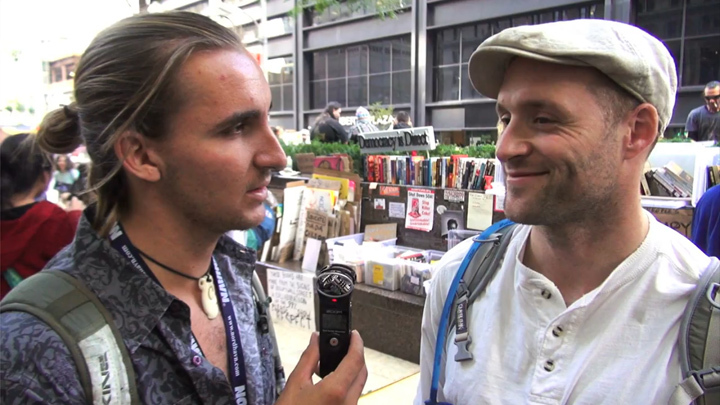 Myerson and asked him about Occupy Wall Street and the Spiritualution movement. He is executive editor of The Busy Signal. 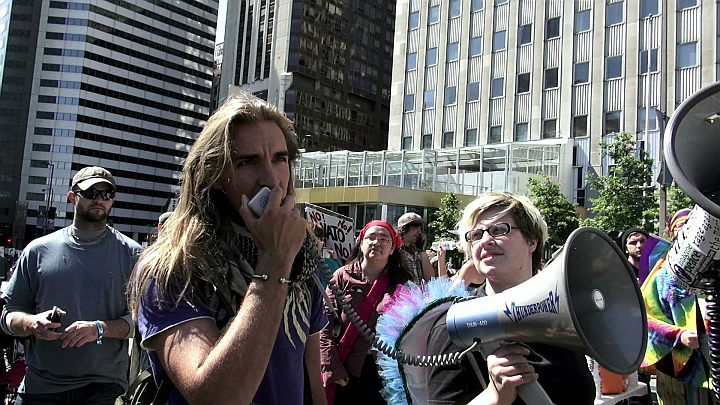 On Monday, October 10, 2011 we joined the 99% in Zuccotti Park (Freedom Plaza) in lower Manhattan to Occupy Wall Street. 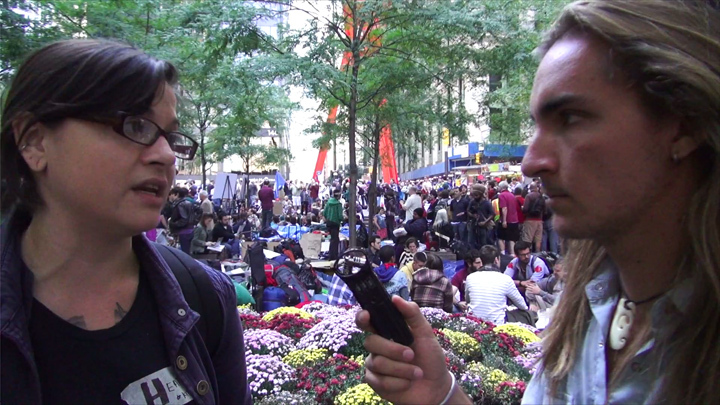 While we were there we ran into activist Sparrow Kennedy and asked her about Occupy Wall Street and the Spiritualution movement. She is working on Wealth Concentration Reform. 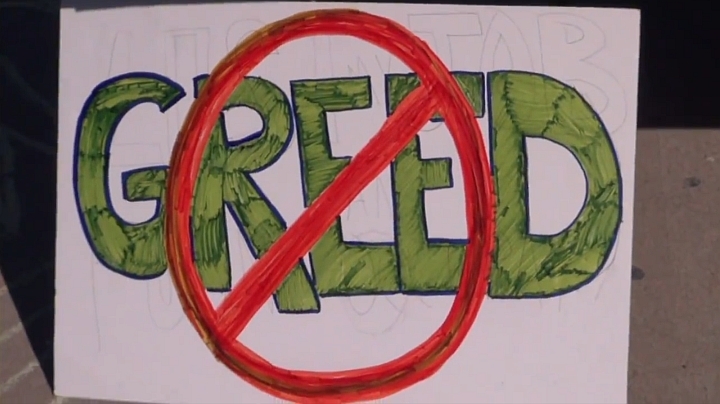 The retired people of Green Valley, Arizona (median age 72) came out with their signs to become part of the 99% movement, protesting the diminishing of the middle class, corporations being treated like people, and more and more money in the hands of fewer people. They feel that this is such a great country. Its not to late to turn it around. They don't like what's happening in my country. 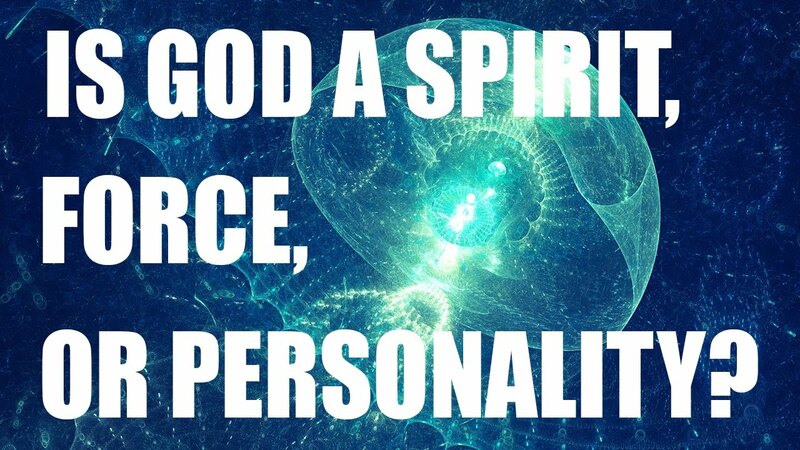 A Spiritualution is needed. 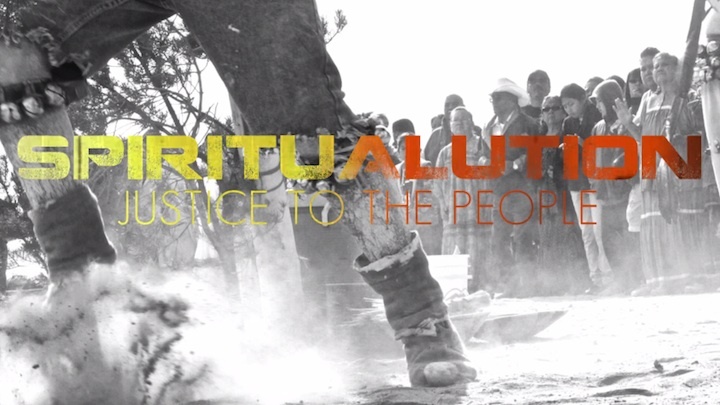 Spiritualution, Justice to the People! 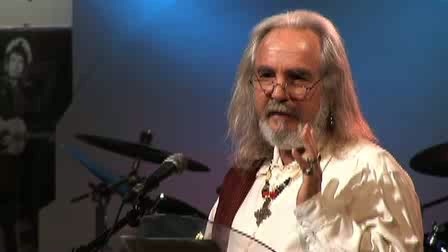 Cultural Visionary Gabriel of Urantia discusses the need for people to overcome apathy and actively resist greed and materialism. 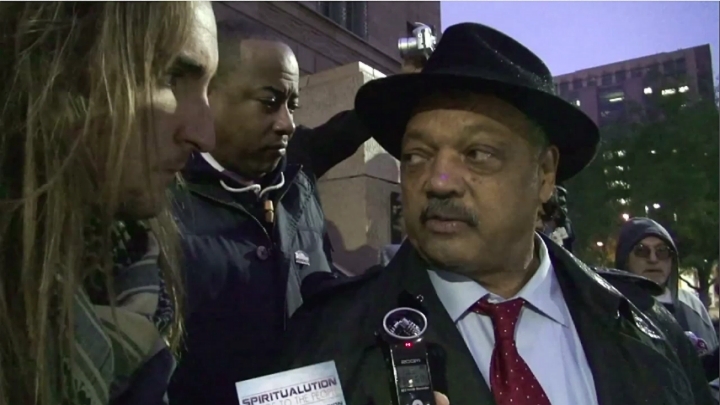 At the Occupy Phoenix gathering on December 1st, Spiritualution.org's Amadon DellErba grabbed an interview with renowned civil rights activist Jesse Jackson. Rev. 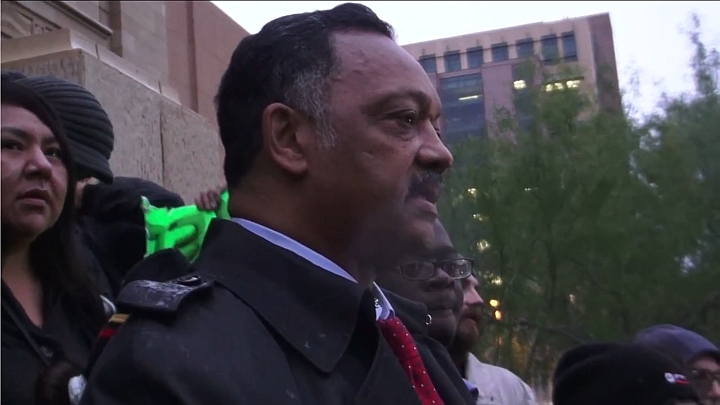 Jesse Jackson speaks to the movement at Occupy Phoenix, December 1, 2011. Protesters speaking out against the injustice of the America Legislative Exchange Council. 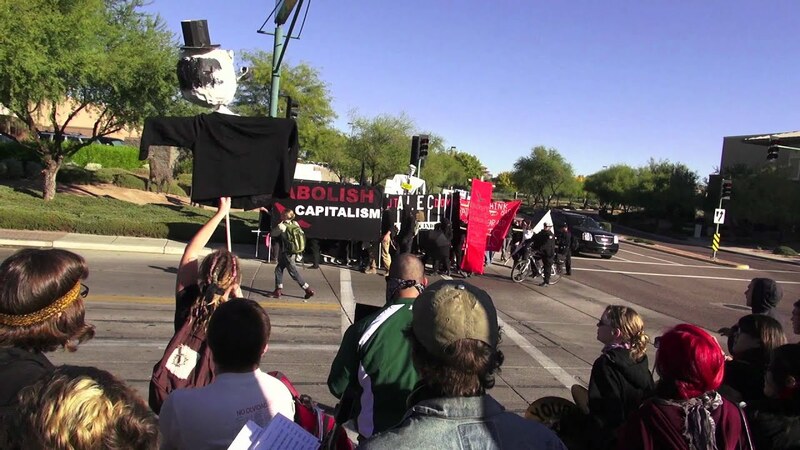 Protesters block the entrance of the America Legislative Exchange Council in Scottsdale, Arizona. 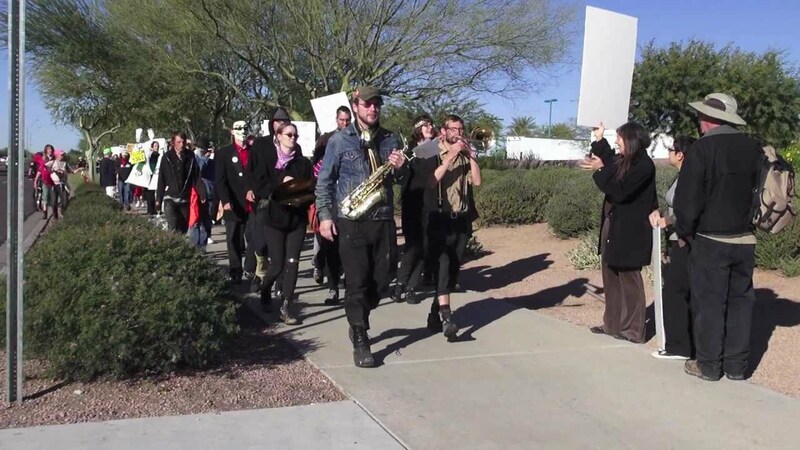 March on the America Legislative Exchange Council in Scottsdale, Arizona. 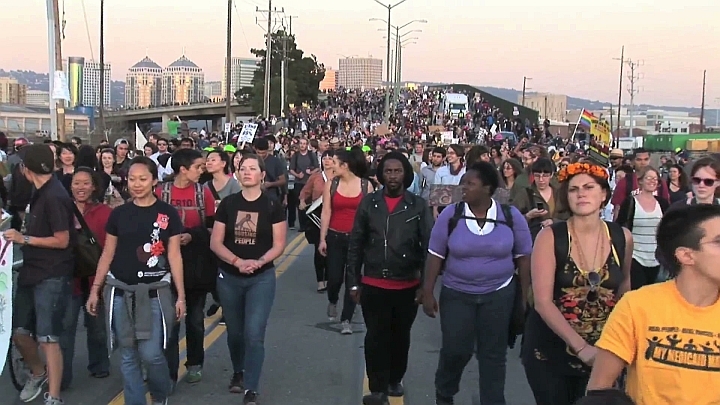 A peaceful march. 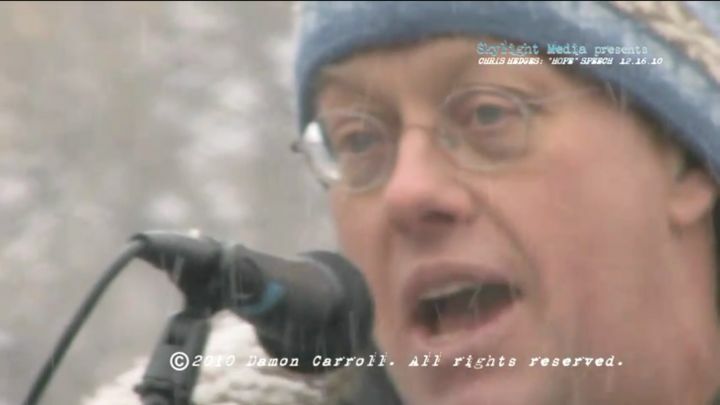 Chris Hedges speaks in Lafayette Park before getting arrested in front of the White House. This is what real beauty looks like. The beauty of change. 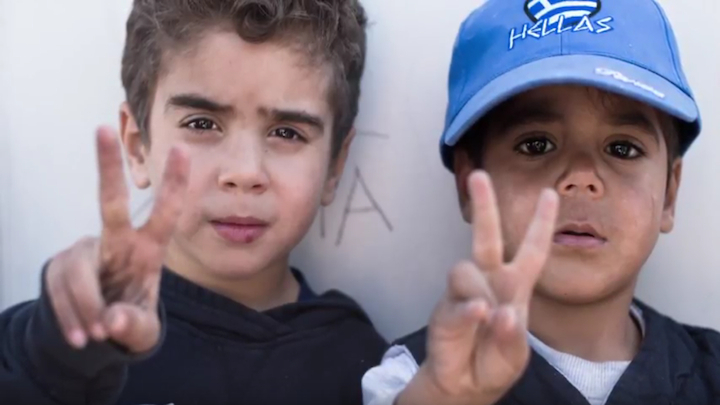 In this segment, Gabriel talks about how our country suffers from a lack of morals and ethics and will continue to suffer until these standards are raised. 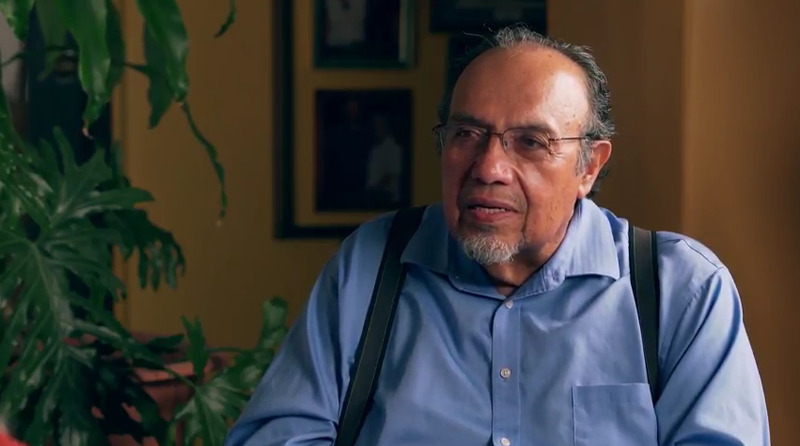 In this segment, Gabriel talks about the need for people to own their own businesses and neighborhood stores within walking distance from each other. 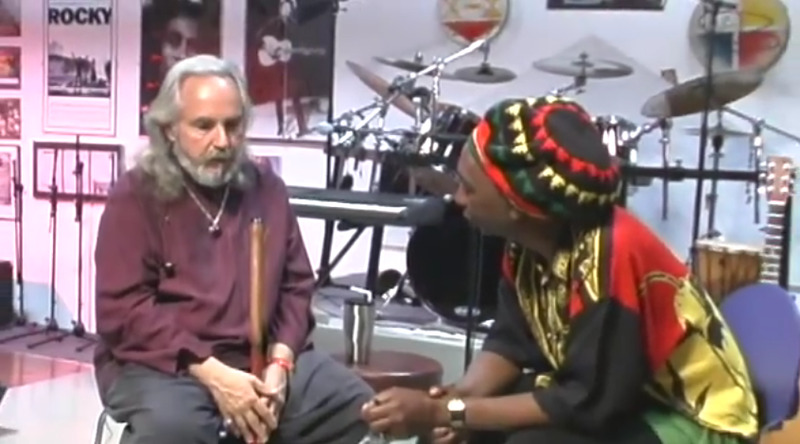 In this segment, Gabriel talks about people's faith in greed and the almighty dollar. 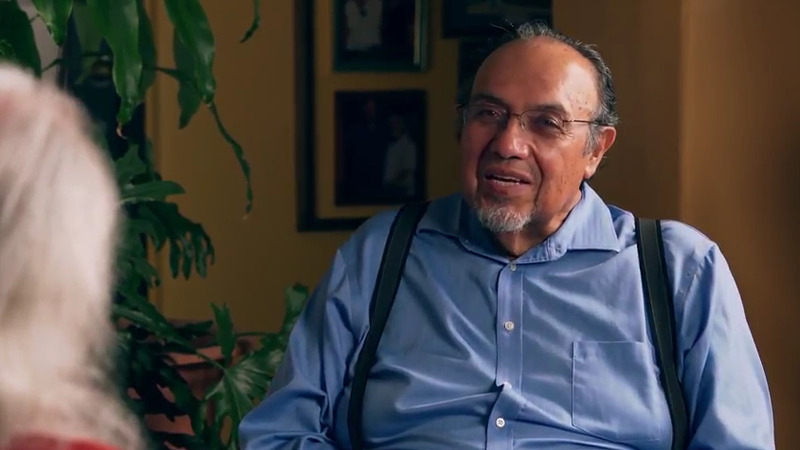 In this segment, Gabriel talks about the lack of true equal opportunity. In this segment, Gabriel talks about when a new government is formed and the old one abolished there needs to be a Spiral of Leaders from the Executive Branch, Judicial Branch and Legislative Branch just like the Constitution states. Let's not re-invent the wheel that works. The problem is capitalism. 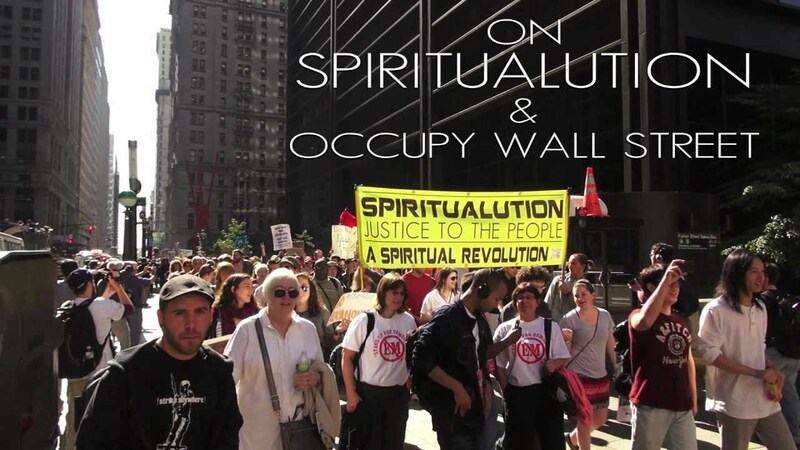 In this segment, Gabriel talks about the Occupy/99% movements and the need for a Spiritualution: a global spiritual revolution and a national people's movement. 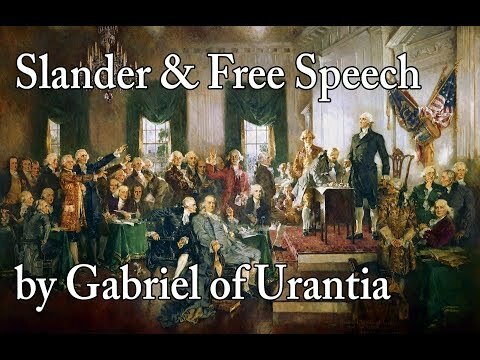 Cultural Visionary Gabriel of Urantia discusses the senseless violence of the past and of today's Occupy/99% Movements, and the need for a strong executive branch. 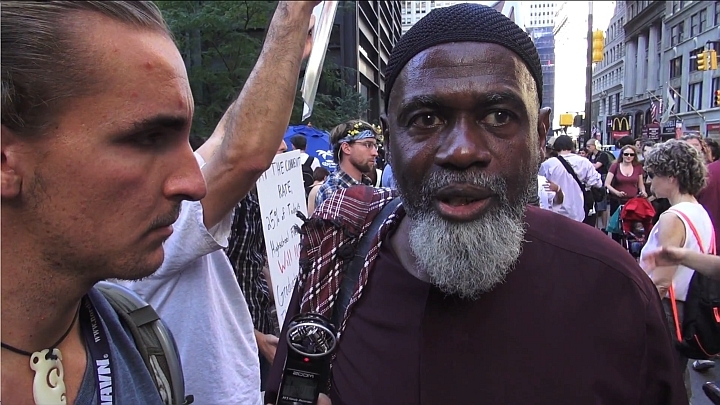 Aiyub Abdul Baki, the chairman of the justice committee of the Islamic Leadership Council, shared why he supports the 99% movement and what brought him down to Zuccotti Park/Freedom Plaza to participate in the occupation. Despite the leaderless aspects of the movement, certain individuals, such as Patrick, have become instrumental to the occupation. New Jersey native Lauren Digioia is a musician and full-time Wall Street Occupier who currently resides at Freedom Plaza (formerly Zuccotti Park). Joe Sibilia is a visionary of the socially responsible business movement, and Judy Wicks is the co-founder of several socially reponsible businesses. 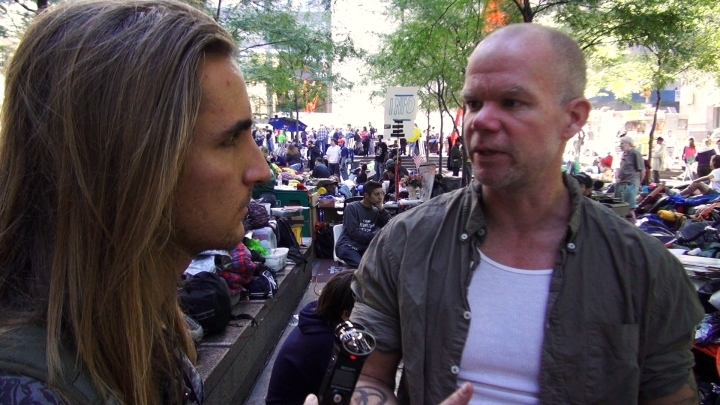 Mr. Strause is a middle school civics teacher who came to New York City to learn more about the OWS movement and what the 99% want. 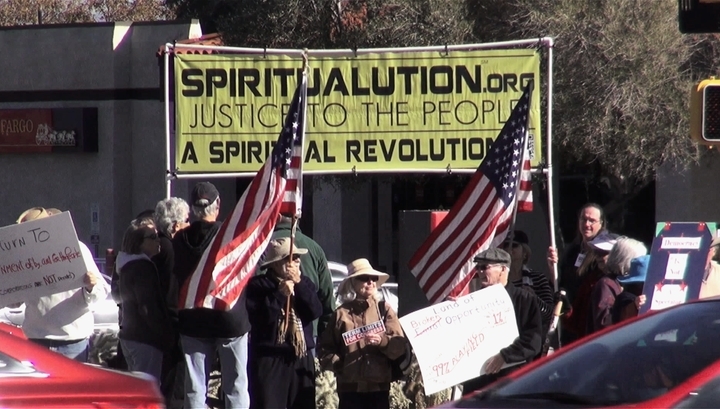 Using footage from the march on Washington Square Park and Gabriel of Urantia's talk from The State of America & The World video this video shows the beginnings of a Global Spiritual Revolution—a Spiritualution. 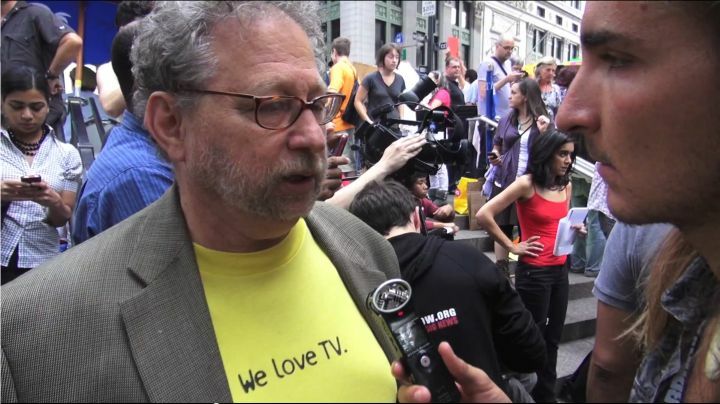 Danny Schechter, "The News Dissector," a blogger, filmmaker and self-proclaimed "trouble-maker." A highly educated expatriate from upstate New York with a global perspective talks about unifying cultural perceptions. 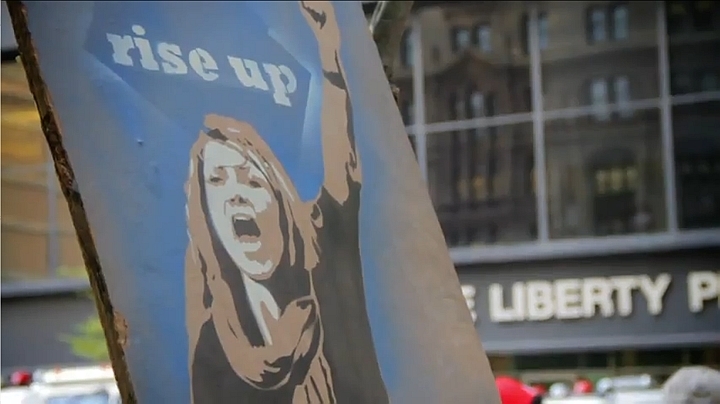 An out-of-work college graduate talks about unemployment and working for the Occupy Wall Street movement. 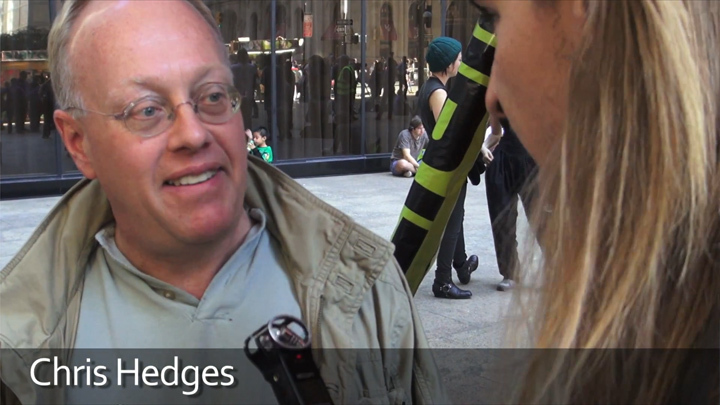 Chris Hedges talks about the beginnings of real spirituality. 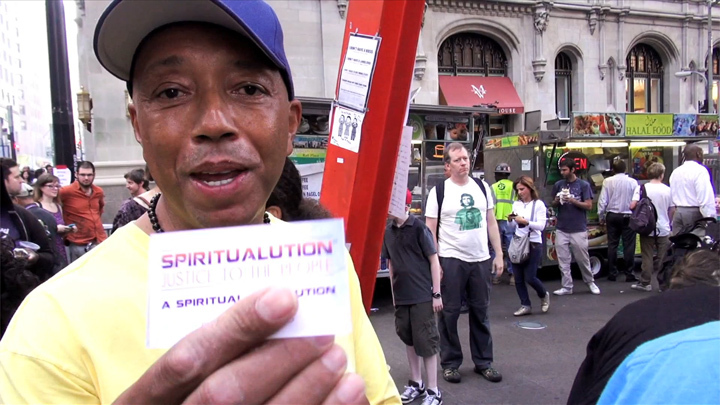 Russel Simmons talks about the influence of Wall Street on the common people. 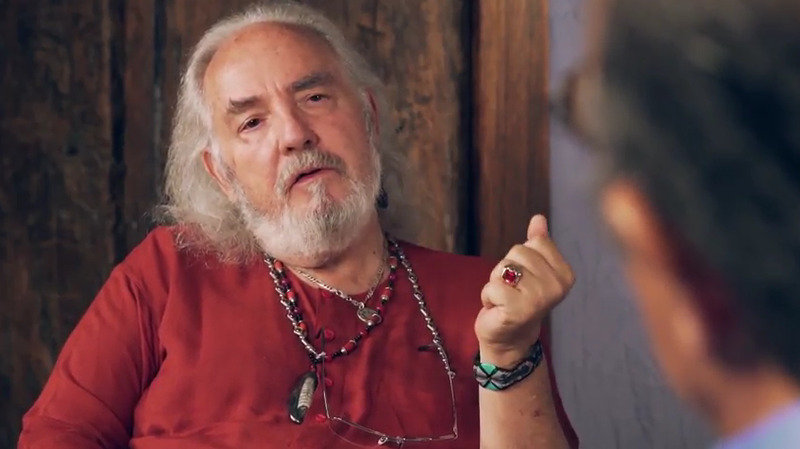 Featured contributors include Gabriel of Urantia and Niánn Emerson Chase, co-founders of the Spiritualution℠ — Justice to the People movement, and cherished leaders of the movement's participants, Change Agents from around the world. 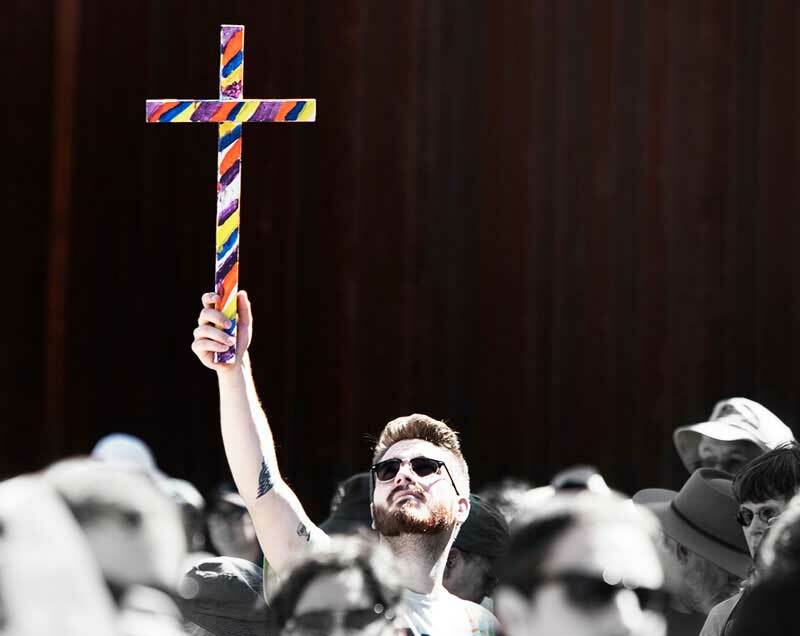 The world needs a culture of the arts based on divine pattern, love, and a sense of community. Whether we agree with the President or not, we all have the responsibility to work in an honest and legal manner to reform policy. Loyalty is a good thing as long as our loyalties do not override the commandments of God or our own conscience.